Dry Needling: As I write this the proposed Physical Therapy Practice Act renewal bill (HB18-1155) bill is still in the Senate Health & Human Services Committee and we await their vote on Thursday. We will continue to update you on the bill’s progression and interpretation. As we previously informed you, with barely 24 hours’ notice, the PT Board added an amendment to HB18-1155 in the House HHS Committee to add “dry needling” to their scope of practice. The move makes clear that they are concerned about our legal challenge to Rule 211, which is before the Colorado Court of Appeals, and are attempting an end run around the judicial process. The bill passed the House, but we managed to have 14 people testify to the Senate Health & Human Services Committee to help educate them on the public safety dangers of a physical therapist, with no formal training in the use of acupuncture needles, starting a weekend course on Friday and by Monday beginning to insert acupuncture needles as deep as 6 inches into patients who have no understanding of the risks of such limited training. This issue and the legislative process are incredibly complex, and timing is often unpredictable. As the bill continues to make its way through the legislature our lobbyist is doing his best to impress upon legislators the importance of protecting the public. Case 1. In November 2013, 17-year-old professional freeskier Torin Yater-Wallace suffered a penetrating right lung injury caused by a physical therapist performing dry needling. The penetrating right lung injury resulted in a traumatic pneumothorax (an accumulation of air in the pleural cavity resulting from blunt or penetrating chest injury and causing lung collapse). He was treated for the traumatic pneumothorax at the emergency department of the St. Anthony Summit Medical Center in Frisco, Colorado, and was admitted to that hospital on the same day. The traumatic pneumothorax required medical and surgical intervention. He was hospitalized for five days. Case 2. In April 2015, 36-year-old senior recruiter Amanda Hilton suffered a penetrating left lung injury caused by a physical therapist performing dry needling. The penetrating left lung injury resulted in a traumatic pneumothorax. She was treated for the traumatic pneumothorax at the emergency department of the Good Samaritan Medical Center in Lafayette, Colorado, and was admitted to that hospital on the same day. The traumatic pneumothorax required medical and surgical intervention. She was hospitalized for three days. Case 3. In June 2015, 41-year-old clinical social worker Lisa Kerscher suffered a penetrating lung injury caused by a physical therapist performing dry needling. The penetrating lung injury resulted in a traumatic pneumothorax. She was treated for the traumatic pneumothorax at the emergency department of the Rose Medical Center in Denver, Colorado. The traumatic pneumothorax required medical intervention. Finally, please remember that dry needling is acupuncture in which an acupuncture point (a specific muscle or connective tissue site) that has become exquisitely tender, commonly known in the West as a trigger point, is punctured with an acupuncture needle (a fine needle of up to six inches in length) to cure, mitigate, treat, or prevent disease or other conditions, especially musculoskeletal and connective tissue disorders, including musculoskeletal pain. The American Medical Association (AMA) states, “Dry needling is indistinguishable from acupuncture.” For your fellow Coloradan’s safety please remember how to describe what dry needling is to your friends, neighbors, colleagues, and patients. A weekend course of training in an invasive procedure is inadequate and represents a significant public safety concern that we have shared with the Colorado judicial and legislative branches. Procuring Substances for Injection Therapy: We have continued to meet with our new director at DORA about making the necessary rules to allow acupuncturists to procure appropriate injectables. According to federal law many injectables considered compounded require a patient-specific prescription, and this is still hindering our ability to procure substances. We have continued to research if we will need to pass a bill to get prescriptive authority just for these substances. The lobbyist from the Colorado Medical Society will be arranging a meeting so that we may discuss with CMS how we can obtain the necessary prescriptive authority for the listed injectables. Our legislative committee will continue researching a possible bill giving us prescriptive authority with the goal of resolving our issues in procuring substances for injection therapy. We will continue to keep you apprised of our progress on this subject. American Society of Acupuncturists: AAC Immediate Past President, Kimberley Benjamin, and I represented the AAC membership at the annual ASA meeting last month in Denver, Colorado. The meeting was very productive and we were able to collaborate with and learn from other state trade associations and national entities. For a full overview of the weekend’s events please visit https://goo.gl/EpsCVk. The meeting was attended by 27 state associations represented by 41 delegates, as well as representatives from CCAOM, NCCAOM, AAPAS, and DVCIPM. We had Skype/Zoom Meeting addresses by ANF and ACAOM, including a screening of the first segment of “Getting to the Point”– a new film by film maker Doug Dearth via the Acupuncture Now Foundation. Marilyn Allen and the American Acupuncture Council also sponsored a lunch program presenting information on ICD 11, which will include Traditional Medicine codes, and opened discussion for the potential for course development in orthopedic acupuncture. NCCAOM also presented a lunch program answering stakeholder questions. Our evening gathering was generously sponsored by Modern Acupuncture, and we had a valuable breakfast program sponsored by CM&F insurance looking at malpractice coverage options for the industry. 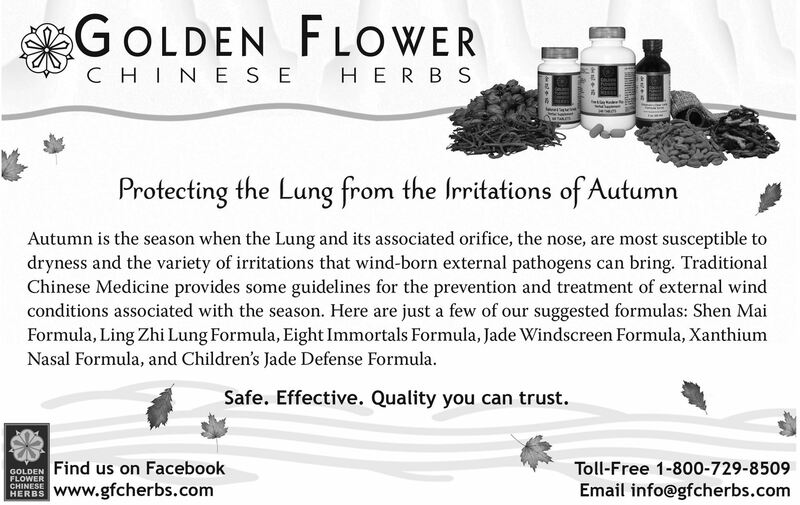 We thank our general supporters as well, including Golden Flower Chinese Herbs, AcuClaims, Lhasa OMS, and Legendary Herbs. With help from these very generous sponsors, we completed a dense and meaningful agenda with fine spirit and strengthened collegial bonds. We are thrilled as well to announce that next year’s 4th annual ASA Council Congress will occur in conjunction with our first profession-wide national meeting in Washington, D.C.! Please keep your eyes open for more information (coming soon) on this industry-wide conference: “The State of Our Union: American Acupuncturists in U.S. Healthcare”. This will be a phenomenal event which will bring our industry into the national arena. I hope to see you all at the conference April 21st - 22nd. As your industry trade association run by an all-volunteer board of directors, the AAC uses membership dues and conference income to maintain our efforts on your behalf, and we greatly need and appreciate your involvement and support. “Like” the Acupuncture Association of Colorado’s Facebook page for continued updates from the association and interesting news in the field of acupuncture. Tuesday April 17th is the Last Day to Register for the 35th Annual AAC Conference! 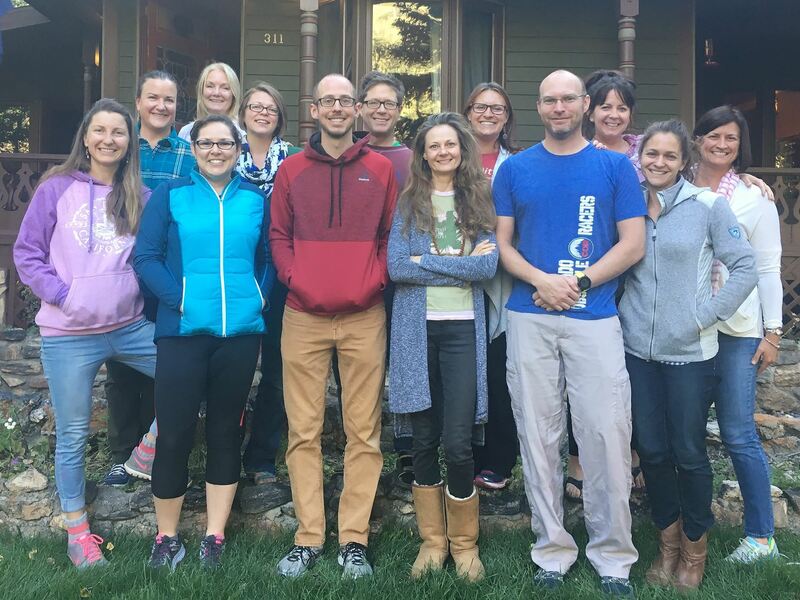 The AAC volunteer Board of Directors has been working hard on behalf of Colorado Acupuncturists to educate legislators about the risks involved with Physical Therapists being able to perform acupuncture after attending a weekend course. We are making progress but WE NEED YOUR CONTINUED SUPPORT. 1. Fundraising - The annual AAC Conference is our largest fundraising event for the year. The AAC is run by a group of volunteer Board Members who donate their time to further the profession of acupuncture in Colorado. We cannot do this without your support. Please consider contributing to this mission by attending the conference this year while obtaining 14 NCCAOM approved and CA (pending) CEU's. 2. 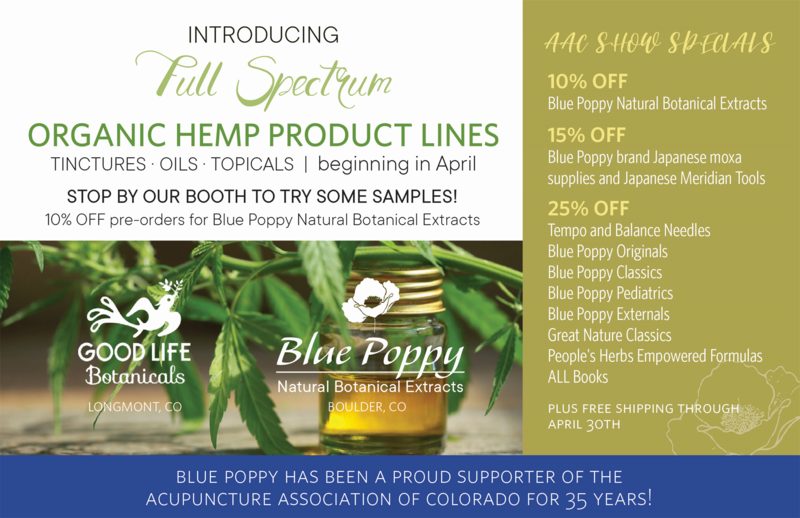 Networking - this year we are inviting ALL Colorado Acupuncturists (members and non-members) to attend our Membership Mixer sponsored by Blue Poppy and KPC Products. Even if you are unable to attend the conference, please consider attending the Membership Mixer Saturday 4/21 starting at 6:30! This is a great way to network with other acupuncturists and chat with AAC Board Members. We only ask that you make a $10 donation to the AAC organization if you are a non-member. If you sign up for membership that evening the fee for the event will be waived. All mixer attendees receive two drink tickets for beer, wine, soda or bottled water, and there will be live music to enjoy! 3. AAC Annual Meeting - All Members of the AAC are welcome to attend the annual meeting on Saturday 4/21 from 12:30pm - 2pm. An update on our legislative efforts around Dry Needling will be included, and we have proposed By-laws changes to vote on (stay tuned for an email soon to come). Complimentary lunch will be provided to conference attendees. All others will be charged $25 if you would like to have lunch. Payment can be made at the registration table, but if you are not registering for the conference and would like to attend the meeting (with our without lunch) please notify me at Conference@acucol.com or (720) 460-0766 by Monday, April 16th. 5. Jeff Nagel, L.Ac., Dipl. Ac. (last but by no means least!) - People rave about his presentations and unique style of acupuncture, and he was one of our most highly requested presenters. Jeff's innovative approach to training and healing will make this event unlike any other you have you attended before. DON'T MISS THIS EVENT! We have a fantastic venue and event planned and we want to see as many Colorado Acupuncturists come together as possible this year! Registration closes Tuesday, April 17th for this event on April 21st and 22nd, 2018 at the Westminster Marriott. Jeff Nagel, MA, LAc, Dipl Ac. Jeff is trained in the 8 Branches of Chinese Daoist Healing Arts, Medicine, Internal Martial Arts & Life Sciences and is an experienced long-time practitioner. His two-day seminar is entitled Healing Stress, Anxiety, Depression & Pain - Precursors to Disease in Your Practice & in Your Life (Classical Chinese Medicine Daoist Style Special Applications of Master Tung's Holographic). 14 NCCAOM PDA / California CEUs pending. 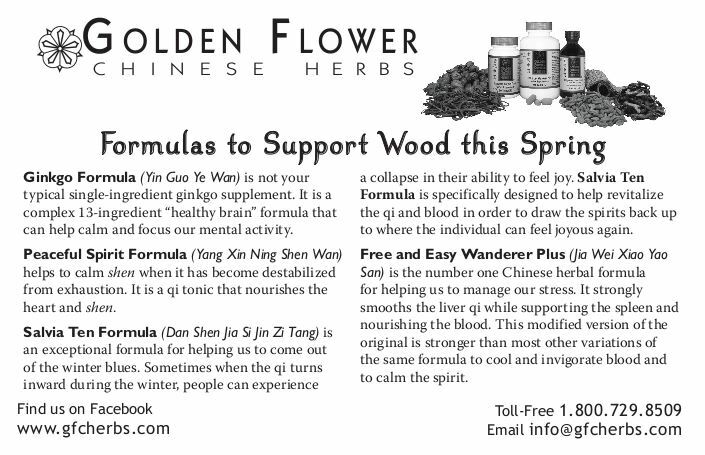 · How to cultivate Relax & Calm Down Qigong Breathing & Taiji Ruler Heart Calming Qigong for patients and practitioners. · Learn simple & effective methods of Acu-Touch Pulse for diagnosis & treatment. 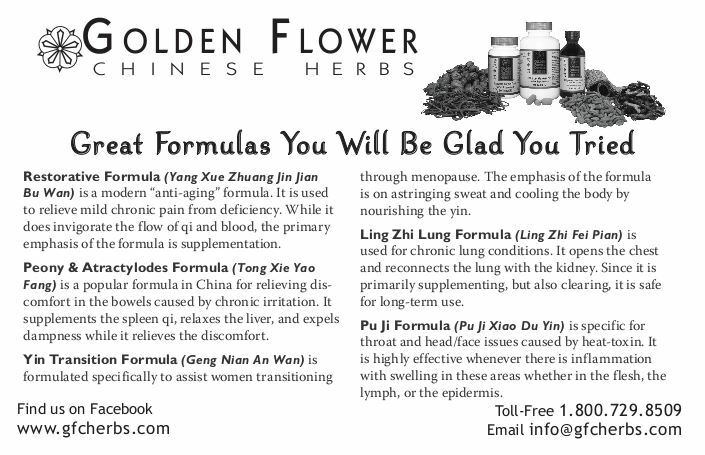 · Learn how to use internal-external herbal polarity-5 phase nutrition. · Learn practical clinical applications to diagnose and treat stress, anxiety, depression, PTSD and pain before dis-ease sets in using Master Tung's Acupuncture and the 5 Phase Organ-Meridians and 12 Attitudes Method. · Learn how to harmonize the emotions with Temporal Pulse Balancing, the “10 Essentials of Life” & Geopathic Medicine for stress, anxiety, depression, PTSD and pain. These methods are practical and highly effective and can be implemented immediately in practice. The class will be taught through a combination of lecture, hands-on experience, and question and answer opportunities. Bring your most difficult case studies to class for group feedback and applied practical clinical applications. Read more about Jeff, the conference and register here. We are so excited for this conference, which will be a wonderful opportunity to connect with peers, get energized and learn amazing things. Register with a friend now and take advantage of buy one, get one half off discounts. I look forward to seeing you all there! The AAC's 2018 Silent Auction offers you an array of items to boost your practice as well as your fun time. Are you planning a vacation? Be prepared to be wowed with local, national and international trips, and the best news is you get a great discount and at least 30% of the proceeds go to our Legal Fund! Are you a Colorado Sports Enthusiast? We have Autographed Sports Memorabilia available for you, too! Enjoy CEUs and certifications! Do you want to get your holiday gift shopping started? We have gift cards, handmade items and much, much more to choose from. Can't attend the full Conference this year? That’s ok! Join us at the Membership Mixer Saturday night starting at 6:30 to check out and bid on the Silent Auction items. If you cannot attend the mixer, but still would like to participate, you can request a list of the items via email at omwellnessllc@gmail.com, send bids to the same address and a volunteer will be in touch as the weekend bidding continues. This past year has once again been an incredibly busy one for your volunteer AAC board. We do our best to keep you up-to-date with our quarterly email newsletters. If you are a member and are not receiving our emails, please contact Office Manager Charissa Haines at info@acucol.com or call (303) 572-8744. If you have missed previous newsletters they are archived in the News/Classes tab of Acucol.com. As Mark mentioned above, many announcements, updates and interesting information are posted more rapidly on the Facebook page, so please “Like” the Acupuncture Association of Colorado’s Facebook page, click “Follow” (next to the “Like” button) and turn on notifications by hovering over the Following button until a drop-down menu appears and select “Notifications - On (Highlight Posts)”. AAC board meetings: This year your volunteer board alternated 7 meetings between Denver and Boulder in addition to a few call-in meetings on timely actions. We have had board members from Fort Collins and as far afield as Colorado Springs and Buena Vista. Those who are not within driving distance may call in for the meetings which occur every 6-8 weeks. Please consider contributing to your profession by running for a board position as your help is needed! Last fall we were able to hold the first weekend board retreat in many years to train new board members, perform a S.W.O.T (Strengths, Weaknesses, Opportunities & Threats) Analysis, set one- and five-year goals and refine our Mission: To advance the profession of Acupuncture and Traditional East Asian Medicine as an integral component of health care in Colorado. All AAC members are welcome to attend board meetings to witness and participate in the process of running the organization and working for our profession. Watch the AAC Facebook page for board meeting announcements and be sure to RSVP to hold your spot at the table. Goals: While still dealing with paramount judicial and legislative issues, we are working hard on one of our most important one-year goals: to increase professional membership to 500 from 246 through outreach of the Membership, Conference, Fundraising, and PR committees. A robust membership is the only way our voices can be heard by policy makers and we can educate the public in a meaningful way. Five-year goals include having 50% of licensed acupuncturists in Colorado as professional members, hiring an Executive Director, Mandatory Insurance coverage - Medicare/Medicaid, and inclusion in CDC Pain Guidelines. Linda Machol, L.Ac., Dipl. Ac. Message from the President: Our Legal Challenge to Dry Needling Continues! While we were disappointed that the Denver District Court recently denied our legal challenge to the PT Board’s regulation allowing dry needling, we strongly disagree with the court’s ruling and, as one of our attorneys explained, “This type of decision is why we have Courts of Appeals.” As a result, at our last meeting, our board unanimously agreed to continue our legal challenge to the Colorado Court of Appeals where we believe we have a strong chance to prevail. The District Court, for example, claimed we lacked the right to even challenge the PT Board’s refusal to repeal Rule 211 despite making the opposite finding just months earlier. Similarly, the Court did not even attempt to explain how the PT scope of practice, which allows only non-invasive practices, could be rationally interpreted as allowing the insertion of acupuncture needles up to 5” deep. While we all wanted to see victory at the District Court, the Court of Appeals is a very important second bite at the apple. But it will only be possible if those of us that understand the importance of protecting the public from the untrained practice of acupuncture (aka “Dry Needling”) continue to financially support this critical legal effort. Your contributions to date have been immensely significant to our efforts, and our attorneys have already generously donated many thousands of dollars of their time. But to continue this fight we need your support again. If you’re already an AAC member, please make a special donation to directly support the critical work our legal team is doing on your behalf. If you’re not a member, please join the AAC today [link to join us page] and stand with us in this important effort that will be closely watched across the United States. You may also wish to make an additional donation in support of this cause. Please take a minute now and make a donation to our legal fund. This is a fight we can win, but we cannot do it without you. I look forward to continuing to work with you on this, and to seeing you at our 35th annual conference in April for an awesome seminar with Jeff Nagel . And as always, thank you for your membership and continued support. Registration is Now Open for Jeff Nagel at the 35th Annual AAC Conference in Westminster April 21-22, 2018! This year will be our 35th annual conference as a state association and we are pleased to bring you another highly requested speaker, Jeff Nagel, MA, LAc, Dipl Ac. Jeff is trained in the 8 Branches of Chinese Daoist Healing Arts, Medicine, Internal Martial Arts & Life Sciences and is an experienced long-time practitioner. 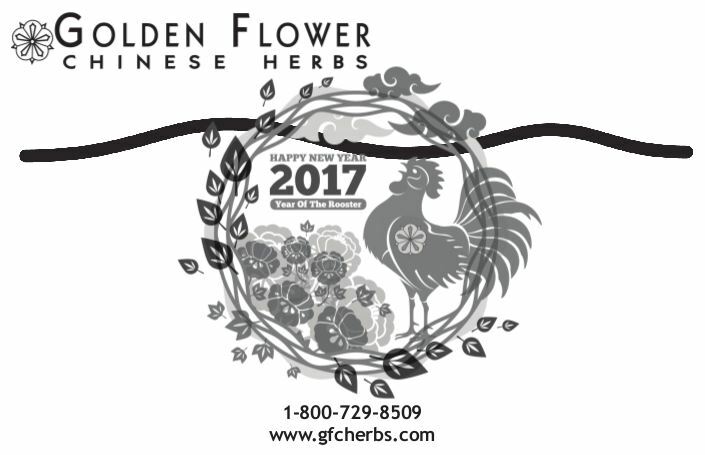 He is a well seasoned, generous teacher-researcher of Acupuncture-Oriental Medicine, as well as a Qigong cultivator and healer who has studied extensively with several well-known masters and doctors including Daoist Grand Master Share K. Lew, the 23rd generation of the Yellow Dragon Monastery, China. 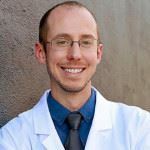 Jeff is designated as a practitioner and teacher by the AAAOM Pioneers & Leaders in Acupuncture and Oriental Medicine, acknowledging his contributions to the field. He has taught at a number of state, national and international conferences. Registration is now open for this event on April 21st and 22nd, 2018 at the Westminster Marriott. His two-day seminar is entitled Healing Stress, Anxiety, Depression & Pain - Precursors to Disease In Your Practice & In Your Life (Classical Chinese Medicine Daoist Style Special Applications of Master Tung's Holographic). 14 NCCAOM PDA / California CEU pending. How to cultivate Relax & Calm Down Qigong Breathing & Taiji Ruler Heart Calming Qigong for patients and practitioners. Learn simple & effective methods of Acu-Touch Pulse for diagnosis & treatment. 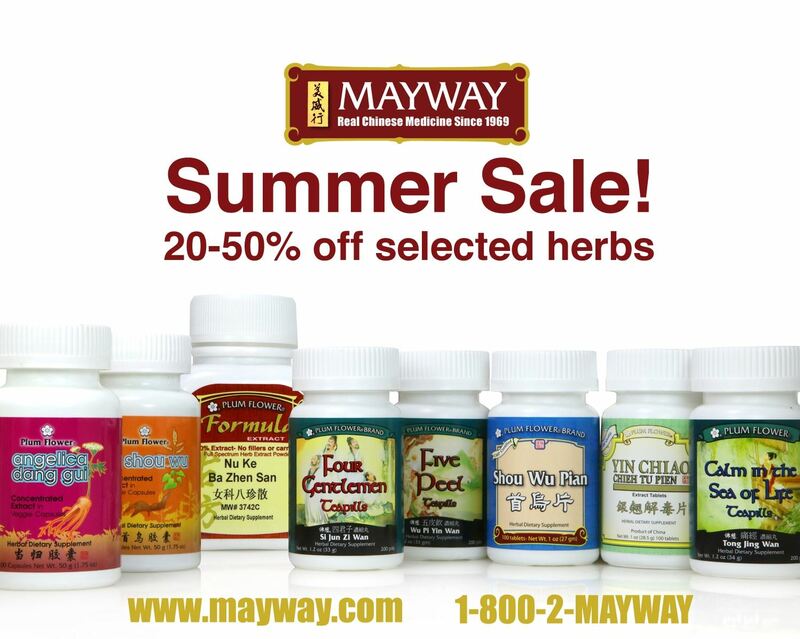 Learn how to use internal-external herbal polarity-5 phase nutrition. Learn practical clinical applications to diagnose and treat stress, anxiety, depression, PTSD and pain before dis-ease sets in using Master Tung's Acupuncture and the 5 Phase Organ-Meridians and 12 Attitudes Method. Learn how to harmonize the emotions with Temporal Pulse Balancing, the “10 Essentials of Life” & Geopathic Medicine for stress, anxiety, depression, PTSD and pain. We are so excited for this conference, which will be a wonderful opportunity to connect with peers, get energized and learn amazing things. This conference is expected to sell out, so register early and take advantage of early bird pricing discounts. I look forward to seeing you all there! The Winter Issue of Meridians Journal is Ready for Members! The winter issue, v. 5 no. 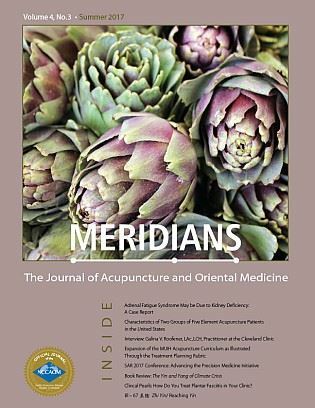 1, of Meridians: The Journal of Acupuncture and Oriental Medicine is now available for AAC members to read on our website! Digital issues of this peer-reviewed, Medline compliant journal are available free to you as a valuable benefit of being an AAC member. Log in to read the Winter issue. (After logging in, scroll down under the Acupuncturists tab to Members, then select Meridians Journal at the bottom of the menu at right.) Having trouble logging in? Contact Charissa at info@acucol.com or (303) 572-8744. There are options to becoming a member of the AAC. You can make a once yearly payment or use our automatic monthly payment option. Join us now! 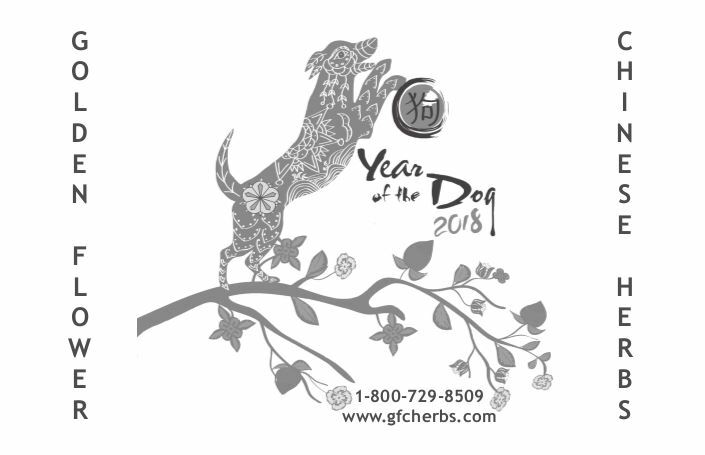 On behalf of your volunteer board of directors, we are thankful for your support as we advocate for your right to practice Traditional East Asian Medicine (TEAM) in the state of Colorado and to advance the reputation of Acupuncture as a safe and effective healthcare option. We are informing the public and policy makers with an accurate and unified voice for the practice of TEAM as the use of holistic medicines continues to grow. We are only as strong as our membership, so please spread the word to your fellow acupuncturists and supporters to join. The membership numbers and donations that we receive from you are the basis of our strength. If you are not yet a member, or your membership has lapsed, please take a moment now to join us. I am excited to inform you that our lawyers have submitted to the court what we hope will be our final round of legal briefing in our lawsuit to overturn the Colorado PT Board’s rule authorizing dry needling. If we win, Colorado would become the first state to have an existing dry needling regulation legally overturned. We need your help today to raise the funding that we need to see this precedent-setting lawsuit through to the end. While we have already defeated the PT’s Board’s motion to dismiss our case, and also defeated the Physical Therapy Association’s motion to intervene in the case, our final hurdle is to win the court’s agreement that Colorado statute quite simply does not allow physical therapists to insert acupuncture needles. A big thank you to those of you who have already generously donated. If you haven’t yet had a chance, please take a minute now and make a contribution online to protect the safety of Acupuncture patients today and into the future. Also, see the article about the 15 CEU Dāo Needle Certification class later in this newsletter–part of the proceeds will benefit our Legal Fund. From 1999 until 2014 acupuncturists were using DORA’s Director's Policy regarding what substances where permissible to use. While some substances were listed, it contained the line: "Injection therapy is the injection of sterile herbs, vitamins, minerals, homeopathics, or other similar-type substances into acupuncture points by means of hypodermic needles." Practitioners and pharmacies had some liberty with "other similar-type substances" when it came to ordering. Now that we are detailing all specific substances, we are running into the issue that specific types of injections that have been used for more than 15 years are now being denied access due to conflicts with Federal law. In January of this year, we met with DORA regarding this subject and we are attempting to prepare a bill to add limited prescriptive authority to our practice act with the assistance of our new DORA Interim Program Director Abi Gaskins. We have also met with the Colorado Medical Society (CMS) Scope of Practice Subcommittee and are continuing to discuss with them language that will allow us to obtain these substances from FDA regulated outlets. We will continue to keep you apprised of our progress on injectables. Please “Like” the Acupuncture Association of Colorado’s Facebook page, click on “Follow” and turn on notifications by hovering over the “Following” button until a drop-down menu appears and select Notifications “All On”. As always, thank you for your membership and continued support. Conference Chair Report: Last Call for Volunteers! This year we will be celebrating our 35th year of bringing Acupuncturists from Colorado and around the country together for learning and connecting. As your new Conference Chairperson I am excited to be leading the charge on this and have been impressed by the enthusiasm expressed by past conference attendees. Mark your calendar for April 21st - 22nd, 2018 when Jeff Nagel, MA, L.Ac., Dipl. Ac. will be our presenter at the 35th annual conference. 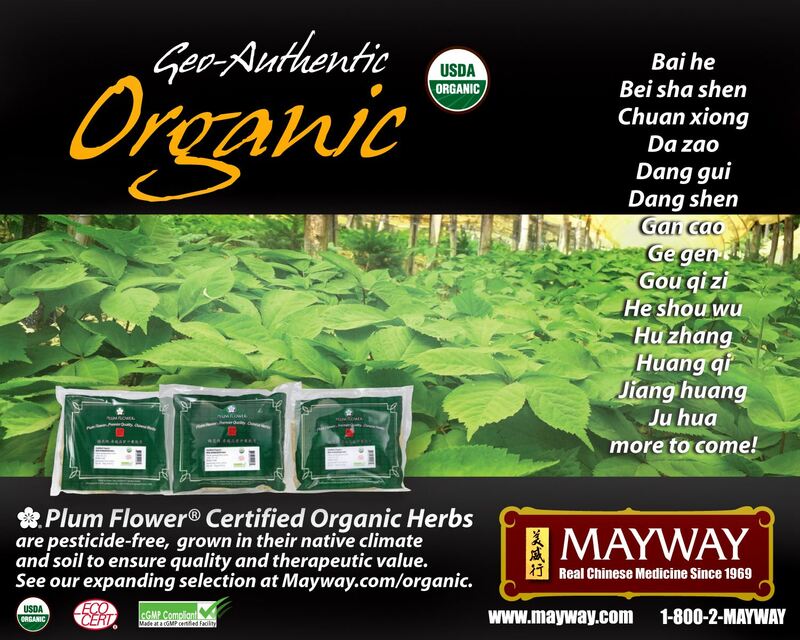 Jeff is trained in the 8 Branches of Chinese Daoist Healing Arts, Medicine, Internal Martial Arts and Life Sciences. He is an experienced long-time practitioner, well-seasoned and generous teacher-researcher of AOM, and a Qigong cultivator and healer. People who have learned from Jeff in the past have raved about him, and he was very high on the list of requested instructors by last year’s attendees. This is an excellent opportunity to get involved. The conference is one of our largest fundraising events all year and we have some even more exciting ideas for increasing these efforts. Do you want to be a part of it? Do you want to make a contribution to the future of acupuncture in your state? This is our LAST CALL for committee volunteers. We are the verge of forming teams of people who will make an important contribution to this year’s conference. If you want to take part please text your name, email and phone number to me at (720) 460-0766 by Friday October 20th, 2017, and we will include you in our Kick-off Meeting to be scheduled this month. We expect that his conference will be outstanding on every level, and are looking forward to having you join us. Will Benefit the AAC Legal Fund! Dāo Needle Therapy is a unique modality that bridges ancient east Asian techniques and modern biomechanical therapies. Its therapeutic basis lies in biomechanical tests to identify musculoskeletal, neuromuscular and fascial imbalances; patient positioning to allow better access to dysfunctional tissue and a more effective treatment; and dynamic palpation to evaluate mobility, motility, and mechanical threshold of tissue. A specialized needle is used to break up scar tissue, change the mechanical threshold of ashi points, remodel tissue and break the muscle energy crisis. Dāo Needle Therapy brings Traditional Chinese Medicine meridian therapy into a new era. Participants will learn a variety of advanced musculoskeletal diagnostic tests such as muscle testing, range of motion, movement analysis, functional tests, and advanced dynamic palpation. Participants will explore how to identify, map, and use the fascial system and its corresponding meridians, while developing a deeper understanding of how ashi points can be used as a diagnostic guide and therapeutic meter. Practitioners of Dāo Needle Therapy use biomechanical and postural tests to identify and mark a patient’s ashi points. After marking a patient’s tender points in a specific area, practitioners insert and quickly remove a specialized needle. It is common that 90% of ashi points will no longer be tender immediately after treatment. The remaining points that are still tender are then needled one more time. This result-driven technique resets neurological responses and restores function to muscles. Dāo Needle Therapy will change the way you see and treat pain. 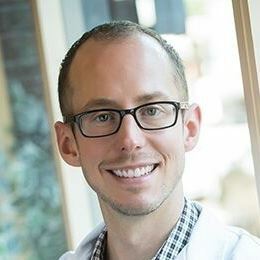 “I can honestly say that over the last 27 years of study and practice in this medicine, your training ranked high up on my list of all-time favorites. Your enthusiasm is contagious, your knowledge of the subject is broad and deep, and what’s impressive is how I feel after receiving Dāo Needle therapy. Often times, training can be superb, however devoid of real clinical results. This is definitely not the case with Dāo Needle Therapy! I would fully recommend your training series for any practitioner whether they have been in practice 2 days or 40 years." Participants will learn the anatomy of the specialized acupuncture needle used in Dāo Needle Therapy. Its unique bevel edge allows for a different penetration into the skin. Similar to Biomedical Acupuncture, Dāo Needle Therapy creates a lesion in the soft tissue that then releases cytokine/chemokine and neuropeptides to initiate local acute inflammation, which activates local blood circulation. However, the needle penetration is very shallow compared to other acupuncture styles and is more focused on the fascial lines, ashi points (tender points), and their corresponding meridians. Dāo Needle Therapy® was developed by Brian Bowen, L.Ac., CMT, PAS. 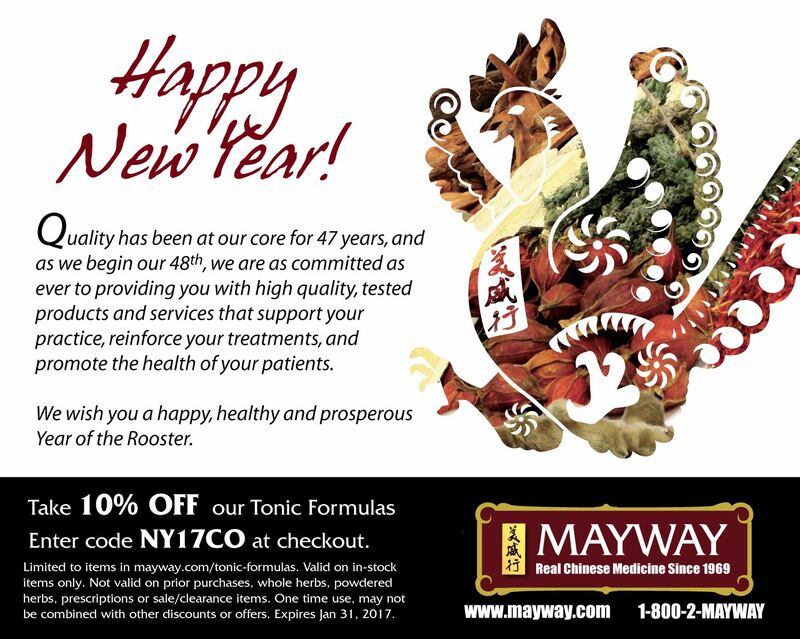 He is the founder and owner of Integrative Health Inc., Dāo Needle Therapy®, and Outch Ointment. During his 19 years in practice, Brian has specialized in musculoskeletal issues, collaborating with osteopaths, chiropractors, manual therapists and postural alignment specialists. He has studied neuro-muscular therapy, structural integration, myofascial release, active release technique, cranial sacral therapy, postural alignment therapy, functional movement repatterning, Dr. Tan method, dry needling, 5-Element and much more. Please join us at the class and help us thank Brian for his generous offer to donate a portion of the proceeds of this class to the AAC Legal Fund! AAC Members receive 10% off registration. Discount code is on the Member Benefits page of Acucol.com. For questions about the class call (303) 577-9977 or email info@daoneedle.com. Acupuncture and Oriental Medicine (AOM) Day is October 24th! Want a FREE Professionally-Designed Press Release for your clinic? AOM Day is a great opportunity to raise awareness and generate interest in your practice. But it can only help you if you have the tools to maximize the opportunity. One way to make the most of this national holiday is to submit a PRESS RELEASE to your local news outlets to let them know how you are celebrating, such as with a special offer or event. I teamed up with Felicia Slattery, Business Communication Coach, to create a professionally designed Press Release Template for AOM Day for my clinic that we are offering absolutely FREE to AAC members. Don’t miss this easy marketing opportunity! Click here (and be sure you’re logged in) to see the free AOM press release, and adapt it to your clinic's AOM Day offers or activities. We wish you a happy and successful AOM Day! Erika F. Marie, L.Ac., Dipl. Ac. Support Your “TEAM” by Getting Involved! 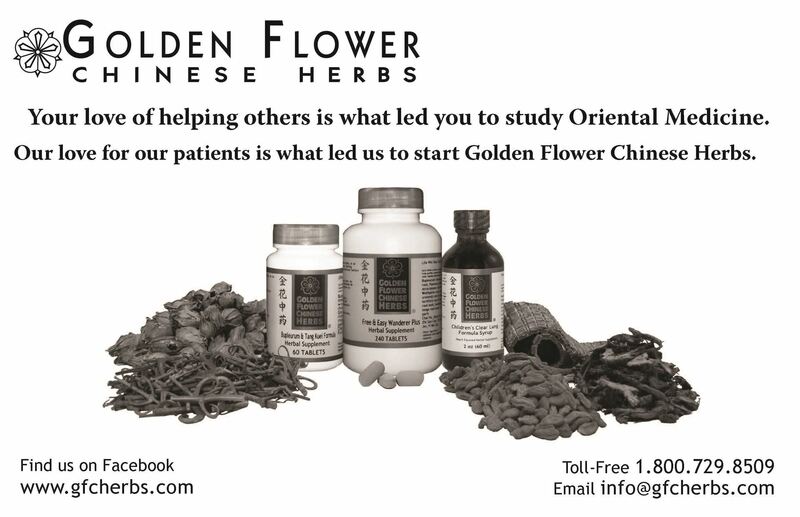 Would you like to help further Traditional East Asian Medicine (TEAM) in Colorado? Join a committee! Several AAC committees are looking for members interested in helping us advance our profession. Have fun and support your all-volunteer AAC Board of Directors by joining a committee. For example, you could help coordinate the 2018 AAC Conference, assist with Fundraising, help increase Membership, or promote our profession through Public Relations. Contact Charissa, the AAC office manager at info@acucol.com with the subject line: "I want to help!" and she’ll get you to the right committee chairperson. Call for Featured Guest Articles! Do you write about Acupuncture or Traditional East Asian Medicine? Would you like to share your knowledge, drive traffic to your blog or clinic, and gain an online publication with us? Starting in January 2018, the AAC newsletter will be monthly instead of quarterly. Each month will include a “Featured Guest Article” written by one of our members. To submit an article, you must be a current dues-paying member of the AAC. To learn more, contact Erika F. Marie, Chair of Public Relations, at prchair@acucol.com with "AAC Featured Guest Article Submission" as your subject line. Erika Fayina Marie, LAc., MSOM, Dipl. Ac., and AAC Public Relations Chair, traveled to North Carolina on September 18th, 2017, to present her scientific abstract for publication at the 5th International Meeting on Complementary and Alternative Medicine & Therapies. 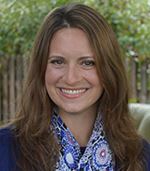 Her abstract and well-received breakout session, “Saving Organs and Restoring Lives with Integrative Medicine: The Treatment of an Infant with Diamond-Blackfan Anemia (DBA) and Her Mother with Immune Dysfunction and Kidney Failure,” illuminated the power of an integrative approach for "unbelievable" clinical results. 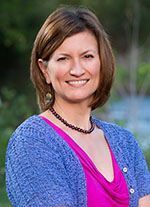 Erika specializes in autoimmunity and other complex conditions at her clinic, Chiyu Center, located in Longmont, Colorado. She is also a professional speaker and would be happy to speak to your group about how to practice truly remarkable integrative care. Reserve time on her clinic or speaking schedule by calling (720) 593-1593 or emailing erika@chiyucenter.com. Would you like to be the next AAC member featured in our “Professional Spotlight?” Contact Charissa, the AAC office manager, at info@acucol.com with your spotlight submission of 150 words or less. Don’t forget to include a photograph along with your clinic and contact information! Submit via the body of your email with the subject line: "Professional Spotlight". The Fall Issue of Meridians Journal is Ready for Members! The fall issue, v. 4 no. 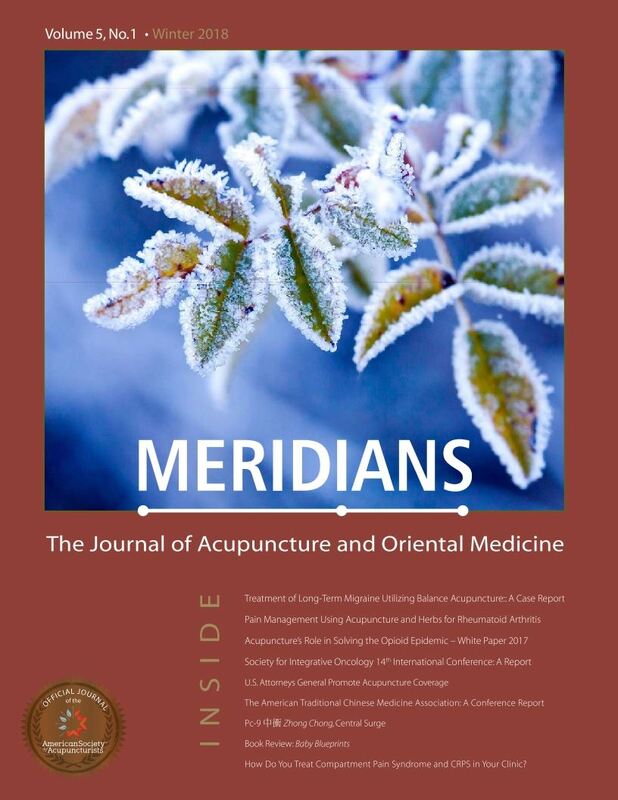 4, of Meridians: The Journal of Acupuncture and Oriental Medicine is now available for AAC members to read on our website! Digital issues of this peer-reviewed, Medline compliant journal are available free to you as a valuable benefit of being an AAC member. Log in to read the Fall issue. (After logging in, scroll down under the Acupuncturists tab to Members, then select Meridians Journal at the bottom of the menu at right.) Having trouble logging in? Contact Charissa at info@acucol.com or (303) 572-8744. 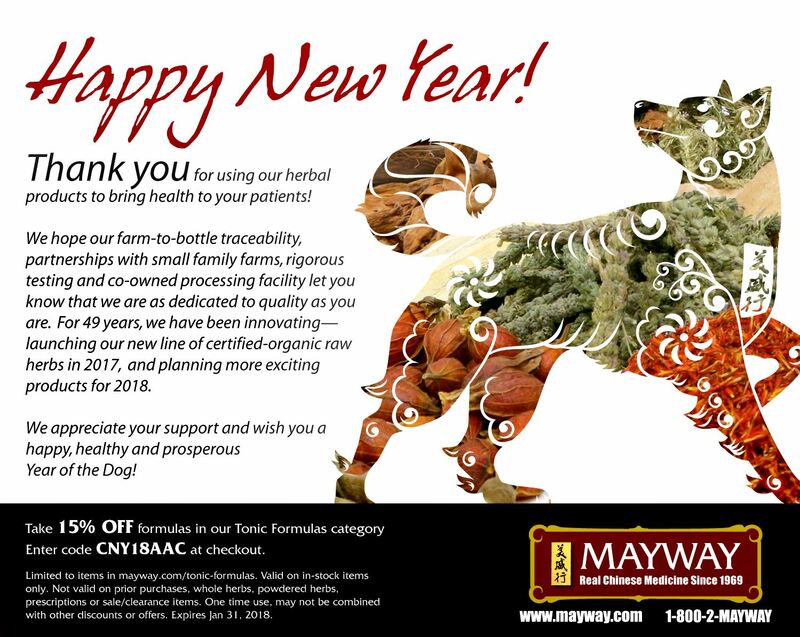 On behalf of your board of directors, we are thankful for your support as we continue to advocate as your voice to protect our right to practice Chinese Medicine in the state of Colorado. 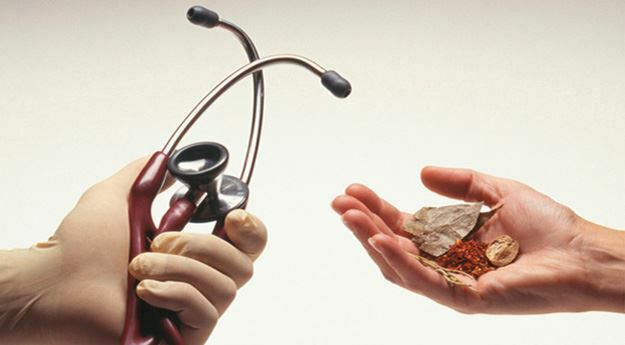 We continue to inform the public and policy makers on an accurate and unified voice for the practice of Acupuncture and Oriental Medicine as complementary medicines grow. We are very thankful for your membership as we are aware that our profession in Colorado can only be as strong as our members. Please spread the word to your fellow acupuncturists and supporters to join. Your Acupuncture Association of Colorado is only as strong as our numbers of members and the donations that we receive from you. Dry Needling: I have good news for you all– the judge denied CCAPTA's motion to intervene in our legal challenge to the Physical Therapy Board’s regulation allowing dry needling! This was the second positive ruling in our favor so far, following our first win that came when the judge denied the State Physical Therapy Board’s motion to dismiss our case. The case is proceeding and we appreciate those of you who have helped support the case through your donations. (Please see the special thank you further down in this newsletter.) We appreciate your continued support as this case progresses and further legal expenses are incurred. Physical Therapy Sunset Review: As you may be aware, DORA has begun a sunset review of physical therapy. (For those who are not aware, a sunset review is an evaluation of a program or agency by its regulating body. It allows the regulating body to assess the effectiveness and performance of the program or agency and determine the need for its continued existence.) We are working to provide information as a part of this review relating to injuries that have occurred as a result of dry needling since we believe it is important that DORA has an accurate view of patient injury reports. If you are aware of injuries related to dry needling please let us know. Also, if you were not aware, DORA has an online form (below) for reporting any practitioner complaints. Procuring Substances for Injection Therapy: We continue to work on obtaining the right to procure injectables following the passage of our injectables bill last year. The process has been long and intricate, involving several stakeholders and many meetings. 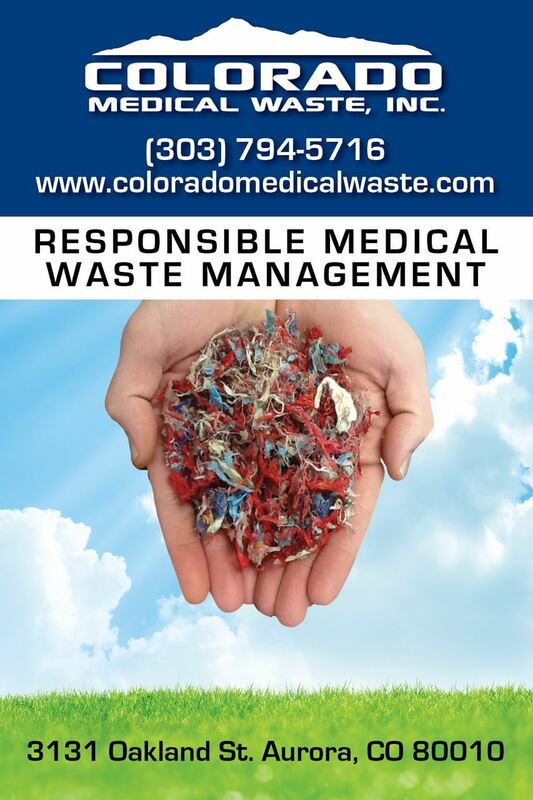 This June we participated in a preliminary meeting with the Colorado Medical Society (CMS) Scope of Practice Subcommittee in order to further solidify our ability to procure injectable substances. We will continue to work with the CMS subcommittee to discuss with them the language that will provide more access for Colorado acupuncturists from FDA regulated outlets. We will continue to keep you apprised of our progress on this subject. Please “Like” the Acupuncture Association of Colorado’s Facebook page, click on “Follow” and turn on notifications by hovering over the “Following” button until a drop down menu appears and select Notifications “All On”. 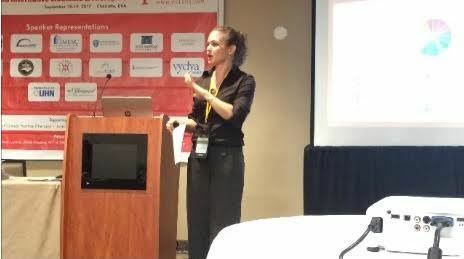 Conference Report: Important Changes for 2018! This year’s 34thAnnual AAC conference with Kiiko Matsumoto was a big success with 137 attendees and 18 exhibitors. Post conference evaluations showed attendees were overall happy with the venue and food again this year. Some people had a hard time understanding Kiiko’s accent. We also experienced problems with the skills of the hotel’s camera crew who were projecting Kiiko’s demonstrations onto large screens. We are always doing our best to provide a quality experience for our attendees and continue to learn how to improve from year to year. The plan for 2018 has changed, and we ask you all make note of this in your calendars. Due to scheduling conflicts at the Marriott, our conference will be held there on April 21st-22nd, 2018, not the following weekend as previously planned. Lonny Jarrett is not able to join us for the new 2018 dates as they fall on his 60th birthday. The good news for Lonny Jarrett fans is that we have booked Lonny for 2019. The conference will remain at the Marriott Westminster and be held April 13th-14th, 2019. We are excited to announce that our presenter for 2018 will be Jeff Nagel, MA, L.Ac., Dipl. Ac. Jeff is trained in the 8 Branches of Chinese Daoist Healing Arts, Medicine, Internal Martial Arts and Life Sciences. He is an experienced long-time practitioner, well-seasoned generous teacher-researcher of Acupuncture-Oriental Medicine and a Qigong cultivator and healer. Jeff has studied extensively with several well-known masters and doctors including Daoist Grand Master Share K. Lew, the 23rd generation of the Yellow Dragon Monastery, China. He is designated as a practitioner and teacher by the AAAOM Pioneers & Leaders in Acupuncture and Oriental Medicine acknowledging his contributions to the field. He has taught at a number of state, national and international conferences. Jeff lives in San Diego, California, where he has a private practice and is the director of and a teacher with the Golden Dragon Health Association offering classes in Classical Chinese Medicine Daoist Style and Qigong around the U.S. and abroad. We expect that his seminar will be outstanding on every level, and look forward to having you join us. In closing, I have greatly enjoyed my time volunteering for you as Conference Chair for the past four years. It has been my goal to add as much organization as possible to our conference planning so as to offer the best possible venue, education, socializing and networking experiences for you and to help move our medicine forward in Colorado. This year I have taken the position of Treasurer and am passing the baton to Erika Schultz. Please join me in welcoming her. Your AAC Board of Directors does the important work of keeping the organization running and working for all acupuncturists across the state. Board members are volunteers who must be current AAC members, are elected by the membership at our annual conference and serve for a term of three years. The board meets twice per quarter and alternates meetings between Denver and Boulder. A complete listing of our current board is listed on the Board of Directors page of the AAC website. New Vice President, Liz Spetnagel, DAOM, LAc., is the lead acupuncturist for Centura Health Integrative Medicine. In addition to treating patients, she serves as an adjunct faculty member at the Family Medicine Clinic/Residency program at St. Anthony North Health Campus. Liz also practices at St. Anthony Hospital in Lakewood as part of the CHPG Breast Center. Liz is focused on expanding acupuncture accessibility for Centura patients, both inpatient and outpatient. Personal goals include creating opportunities for fellow East Asian Medicine practitioners as well as bringing options to mainstream medicine to address the crisis around pain management and opioid addiction. Liz hopes to utilize her skills and position in helping the AAC work towards legislation that would make acupuncture a covered benefit under Medicaid and Medicare. New Secretary and Membership Chair Linda Machol, MSTOM, L.Ac., had a yoga and meditation background before becoming certified in Integrative Sports Medicine and pain management from Five Branches University. She also trained in China. Her other specialties include Skin Care and treating Infertility. She has two offices, one in Cherry Creek and one in DTC. Linda is an advocate for educating patients and western doctors to help them understand the very important role Asian Medicine and acupuncture can play in our healthcare model today. 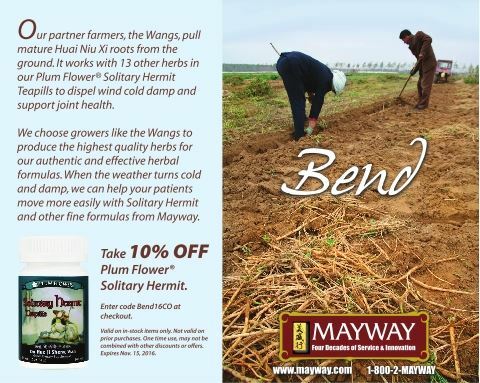 She believes this education must include that Asian Medicine addresses the whole body concurrently, treating both root and branch and including nutritional/dietary changes along with a blend western modalities for lasting results. Linda is very excited to be a part of realizing the AAC’s vision for Colorado. 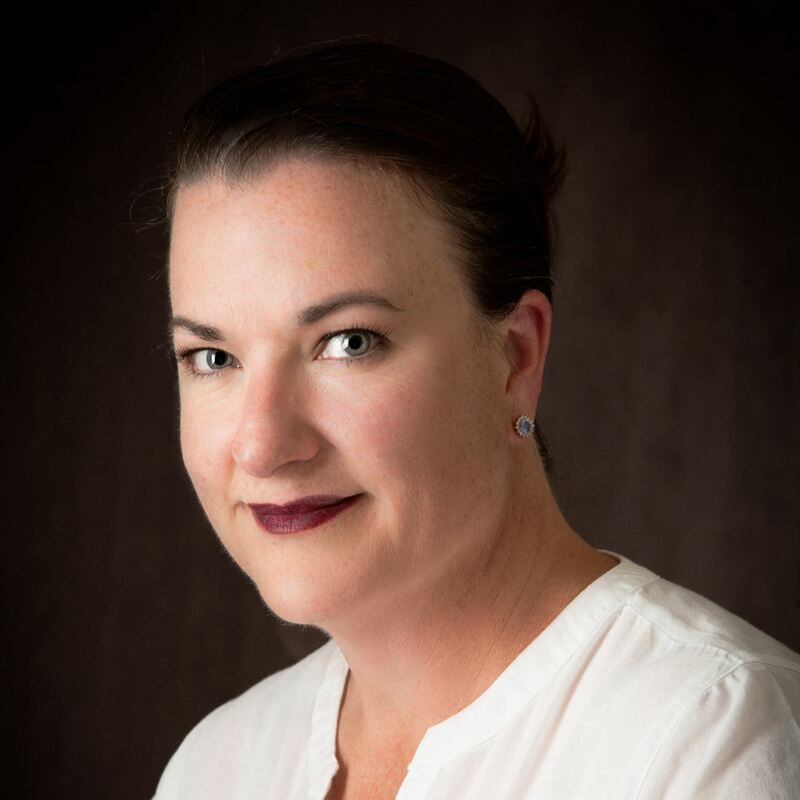 New Conference Chair is Erika Schultz, LAc, ACN is passionate about helping people become empowered in their health through nutritional and acupuncture healing. 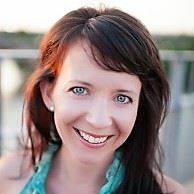 She owns and operates two practices: Paramount Wellness in Denver, CO, and Lakeland Acupuncturist in Pinckney, MI. 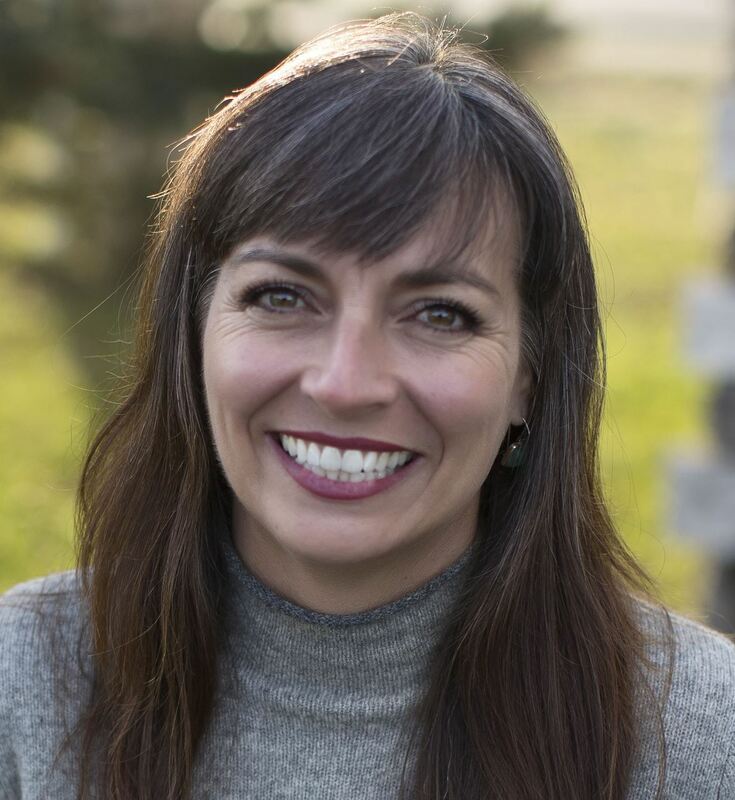 In Denver as the only advanced trained practitioner in a customized nutritional therapy called Nutrition Response Testing she specializes in identifying and addressing root causes of un-resolving chronic health conditions. 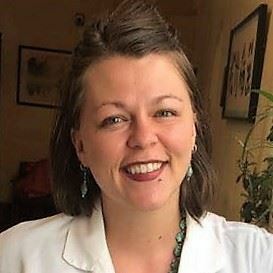 In Pinckney, MI, her objective alongside two other associate acupuncturists is to make an impact on the increasing reliance on opioid medications by providing private and community style acupuncture treatments to the community. 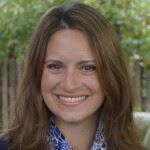 As Conference Chair, Erika hopes to increase knowledge, advocacy and comradery amongst acupuncturists in the state of Colorado. New Public Relations Chair Erika Fayina Marie, L.Ac., Dipl. 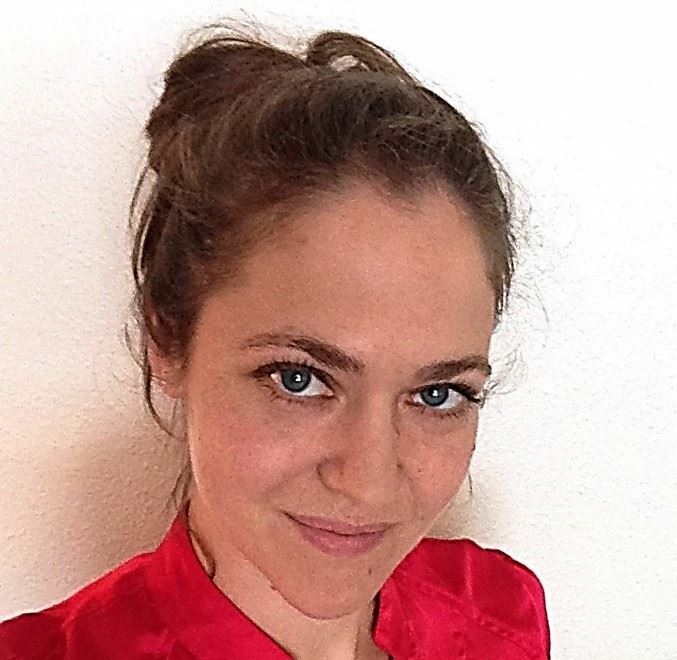 Ac., is a licensed acupuncturist in Colorado and Oregon, an Integrative Medicine Consultant, and a Traditional Usui Shiki Ryoho Reiki Master. At her Chiyu Center in Longmont she specializes in reversing auto-immunity and complex disease and restoring health of both adults and children. 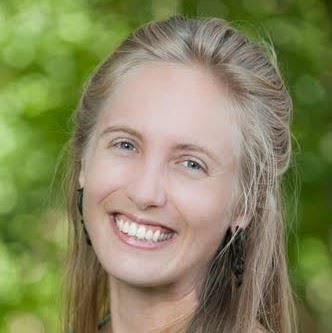 In patient care, Erika draws upon her training in Classical Chinese Medicine, Traditional Chinese Medicine, Tan-style Acupuncture, Kiiko Matsumoto Acupuncture, Five-Element Acupuncture, Naturopathic Iris Evaluation, Shonishin and more. She also holds certification in Constitutional Facial Acupuncture. Prior to her medical career, Erika graduated the United States Military Academy at West Point, where she earned a Bachelor of Science (BS) in Engineering Psychology in 2002. During this time, she designed, analyzed, and conducted multiple randomized-controlled trials. 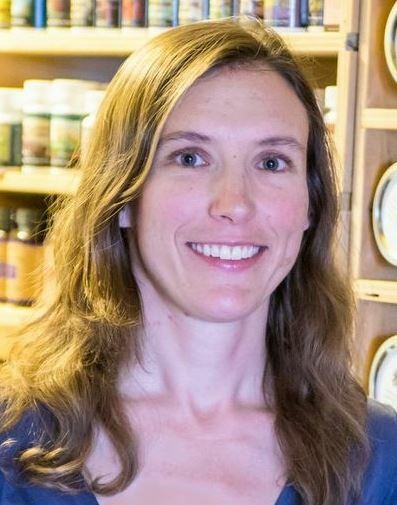 Erika is excited to spearhead important integrative medicine initiatives and promote the safety and proper regulation of acupuncture as a time-honored and effective medicine. New Board Member Sandi Lyman, Dipl. Ac., L.Ac. 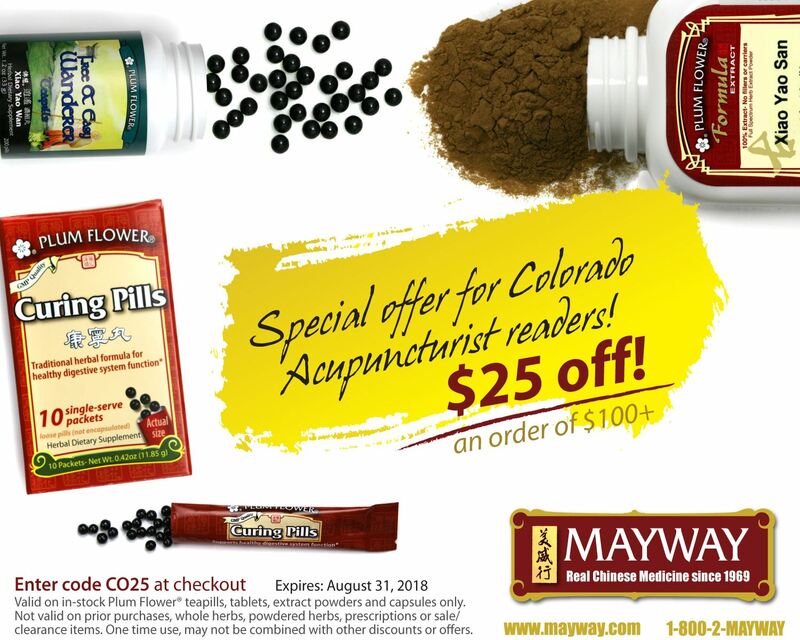 is the owner of MAI Acupuncture Clinic in Buena Vista, Colorado. Working in a rural area brings everything through the door: from 4th generation ranchers to couples looking to start a family. 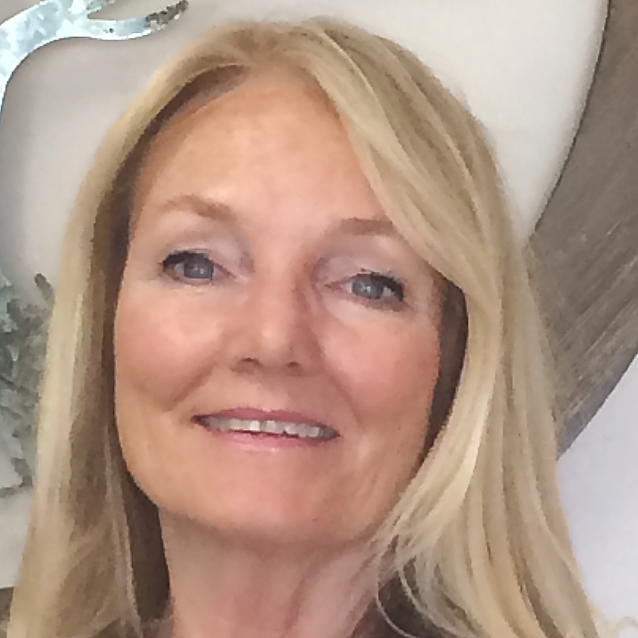 Specializing in digestive troubles, hormone balance, and pain management, Sandi loves helping the people of the High Rocky Mountain Region feel their best. Before studying acupuncture, Sandi worked for over 10 years in healthcare policy as a consumer advocate and communications specialist. She looks forward to using these skills to help the AAC to increase public interest and insurance coverage for acupuncture. New Student Representative Cherron Dow-Chacon is a student in her last year at the Colorado School of Traditional Chinese Medicine in Denver. She eagerly awaits her graduation in the spring when she hopes to begin her work bringing this amazing medicine to women of all social and economic classes. Cherron received her BS in Physiology from the University of Arizona and has a unique background in western science and patient care. She joined the board as the second student member this year to assist the other wonderful student member, Brittany Chowning, and because she believes in the work the AAC is doing and thinks more students should get involved! The AAC is grateful to every single person who has donated time, effort and money to support our Legal Fund. Our endeavors to protect and further the safe and legal practice of acupuncture in Colorado would not be possible without all of us coming together and contributing however we can. We would like to recognize here a special group of donors who have generously supported us this year with Gold and Platinum donations. Every effort was made to contact donors for permission to use their names, so please forgive us if we somehow missed you. The Summer Issue of Meridians Journal is Ready for Members! 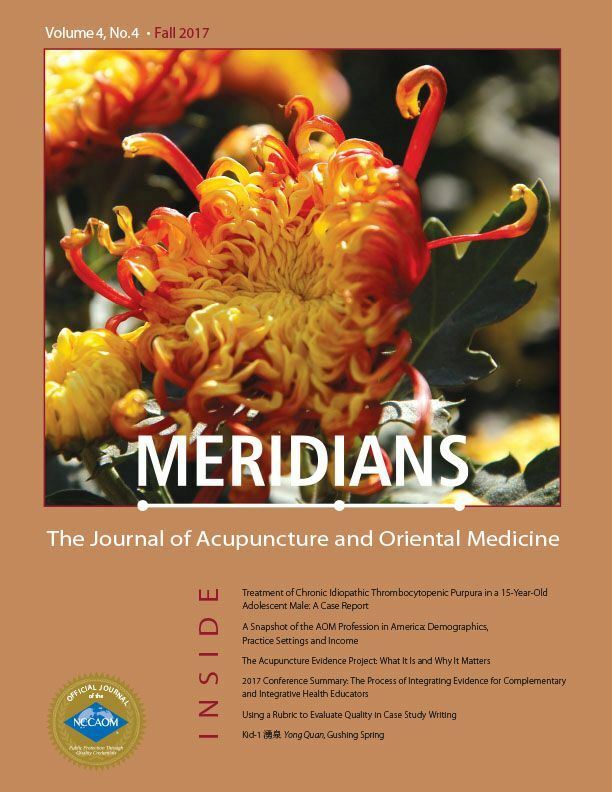 The summer issue, v. 4 no.3, of Meridians: The Journal of Acupuncture and Oriental Medicine is now available for AAC members to read on our website! Digital issues of this peer-reviewed, Medline compliant journal are available free to you as a valuable benefit of being an AAC member. Log in to read the Summer issue. (After logging in, scroll down under the Acupuncturists tab to Members, then select Meridians Journal at the bottom of the menu at right.) Having trouble logging in? Contact Charissa at info@acucol.com or (303) 572-8744. Topic for the Winter 2018 Issue: How do you treat complex regional pain syndrome in your clinic? Practitioners: Please submit your short (approx. 500 words) Clinical Pearl on this topic by or before Nov 1, 2017. See the Meridians Journal website for details. 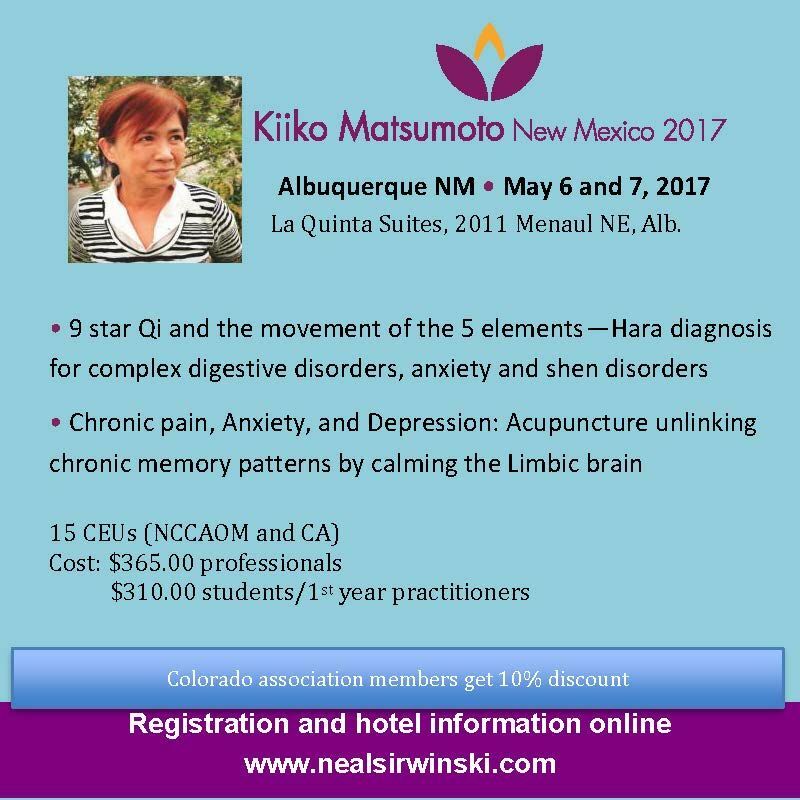 Last Day to Register for Kiiko Matsumoto at the 34th Annual AAC Conference is Sunday, April 16th! The AAC is offering member registration fees at a steep discount compared to standard Kiiko Matsumoto classes. Our member regular rate is $300 where normal rates to learn from Kiiko range between $365 - $419! OR save even more money by registering with a friend. 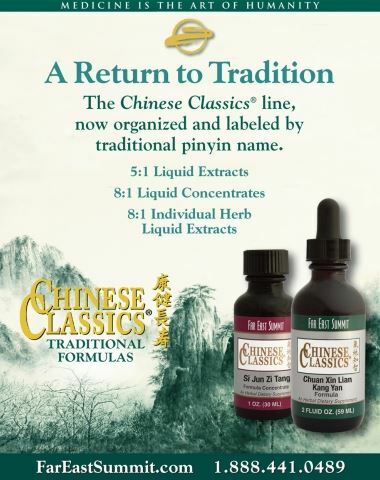 The Buy One Get One Half Price offer means getting 14 NCCAOM approved PDAs from this TCM master for only $225 apiece! The 2017 Exhibitor Hall has more Exhibitors than ever! Come see the latest TCM tools, technology, supplies and resources from eighteen organizations. 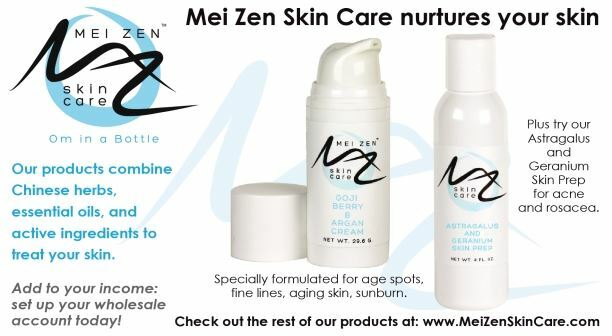 AND, we have a game this year: Any attendee who visits every Exhibitor booth will be entered into a drawing to win a FREE CASE OF SEIRIN NEEDLES - a $100 value! Our venue, the beautiful Marriott Westminster, has a fresh farm to table kitchen. Each day attendees enjoy a complimentary, delicious soup and salad bar luncheon. Saturday Evening's Complimentary Wine and Beer Reception will be just as big a hit this year as it was last year! Dr. Dave's is back! Have fun bidding on several different Dr. Dave's tinctures at the Silent Auction table. We are so excited for this conference, which will be a wonderful opportunity to connect with peers, get energized and learn amazing things. We will also be holding elections for the board of directors at our annual meeting on Saturday (see article below). I look forward to seeing you all there! Dry Needling Update: As we expected, last month the State Physical Therapy Board moved to dismiss the case we filed in February on procedural grounds and is doing everything possible to avoid a substantive ruling from the court on whether dry needling is within the statutory scope of physical therapy as defined by the Legislature. Just this week the American Physical Therapy Association (APTA) also filed documents asking to intervene in the case and filed a proposed procedural motion of their own to dismiss the case. AAC’s legal team filed a great brief this week opposing the motion to dismiss the case and will continue working hard to get a court ruling on the substance of whether the Colorado Legislature ever intended to let physical therapists insert acupuncture needles into their patients. If you’re already an AAC member, please make a special donation today and help support our efforts to enforce Colorado law! Many of you have already been generous in your donations and we thank you for your contributions. If you’re not a member, please join the AAC today and stand with us in this important effort that will be closely watched across the United States. We are only as strong as the support we receive from our members and friends. Procuring Substances for Injection Therapy: Following the passage of our injection therapy bill last spring we had many meetings with DORA about making the necessary rules. DORA did prepare and sign into effect a list of allowed injectable substances, rules for training and changes to the pharmacy practice act that were intended to enable us to purchase injectable substances again. Details can be found in the January 2016 newsletter archived under the News/Classes tab of acucol.com. Unfortunately, according to federal law many injectables considered compounded require a patient-specific prescription, and this is still hindering our ability to procure substances. We may need to pass a bill next session to get prescriptive authority just for these substances. We have met with the lobbyist from the Colorado Medical Society, but will need to present proposed language to their Scope of Practice committee in May. Also, Lorraine Lucero has recently replaced Leanne Duffy as the Acupuncture Program Director at DORA. Our legislative committee will continue researching a possible bill giving us prescriptive authority with the goal of resolving our issues in procuring substances for Injection Therapy. We will continue to keep you apprised of our progress on this subject. Please “Like” the Acupuncture Association of Colorado’s Facebook page, click on “Follow” and turn on notifications by hovering over the “Following” button until a drop down menu appears and select Notifications “All On”. American Society of Acupuncturists: Vice President Mark Van Otterloo and I represented the AAC membership at the annual ASA meeting last month in Philadelphia, PA. The meeting was very productive and we were able to collaborate with other national entities including the NCCAOM, CCAOM, and ACAOM. The ASA continues to have a representative on the CPT code committee and is tracking items that impact Acupuncturists. As an AAC member you are automatically a member of the ASA. One of the many benefits of this is that you have free access to the peer-reviewed Meridians Journal of AOM in the member’s area of the AAC website. The ASA is proving to be a valuable asset to our organization and it is representing us well at a national and even global level. We hope you see the value in it, too. In light of this, with your approval we will raise membership dues slightly next year to account for our ASA membership, the cost of which is based in part on how many members we have. Because our relationship with the ASA is a non-competing model, the increase will be a very small amount compared to joining a separate national organization ($5-$10 instead of $100). Please visit their new website at www.asacu.com to see the many resources available and read their second annual report. Just one great benefit of our ASA membership is that you can read issues of the peer-reviewed, Medline-compliant Meridians: The Journal of Acupuncture and Oriental Medicine for free in the member area of our website. Once you are logged in to acucol.com, go to the dropdown menu under Acupuncturists to Members and a dropdown menu will appear on the right, with Meridians Journal at the bottom. The Spring 2017 issue is now available! Thank you for your membership. There is strength in numbers and although there are roughly 1300 licensed acupuncturists in Colorado, only about 20 percent are AAC members. Our volunteer organization works on behalf of ALL acupuncturists and is hindered by lack of funds caused by low membership, so it is important to let our colleagues know we need them to join us in order to enable us to keep working with DORA and the legislature, and to educate the public about the benefits of choosing a trained, qualified acupuncturist. Elections are on April 22nd! The AAC Board of Directors is looking for a few good volunteers to round out our dedicated board team. Our board does the important work of keeping the organization running and working for all acupuncturists across the state. We are supported by a part-time office manager as well as bookkeepers/accountants and we retain a lobbyist for legislative issues, but the direction of the organization and all decisions are made by the volunteer board composed of acupuncturists like you. Board members must be current members and are elected by the membership to serve for a term of three years. We meet once or twice per quarter and alternate meetings between Denver and Boulder. The board is dedicated to protecting and furthering the safety and reputation of Acupuncture for the benefit of practitioners and patients, as currently evidenced by our recent pursuit of a petition to the Physical Therapy Board. Without our organization acupuncturists may have lost the right to be licensed in Colorado. Thanks to our membership and board, led by then Legislative Chair Anne Chew, we were able to work with a lobbyist to get our Practice Act Sunset Review passed in 2012. If we had become de-regulated it would have been a huge step backward for our profession as we would no longer be licensed in Colorado and could not obtain malpractice insurance or bill health insurance companies. We have much more work to do in supporting practitioners and educating the public and prospective patients. We need more person power to coordinate participation in health fairs and other public relations opportunities. What are the benefits to serving on the board? Feel good knowing you are contributing to furthering your profession while having fun getting to know and working alongside fellow acupuncturists. Be “in the know” and have your finger on the pulse of the current issues facing our profession on the state and national level. Get free registration to the annual AAC conference (including the 14 CEUs) as well as any class that is sponsored by the AAC. Receive PDA credits toward NCCAOM recertification for serving your profession when your term is complete. Learn from and receive referrals from fellow board members. Elections for new board members will be held at the AAC annual meeting during lunch at our conference on Saturday, April 22nd. You need not be registered or present at the conference to run for the board. If you are interested please contact President Kimberley Benjamin at President@acucol.com or (970) 214-6683. Get Your "Acupuncture Over Opioids" Stickers! We know that acupuncture is a powerful tool to treat chronic pain and address the current painkiller epidemic. 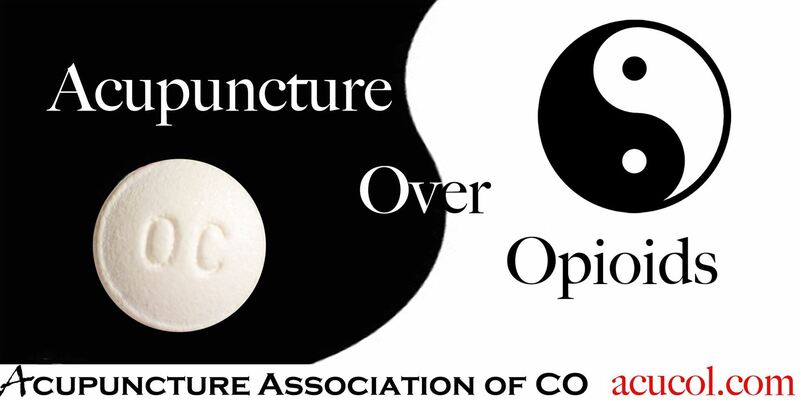 At the AAC Conference next weekend for a donation to the AAC Legal Fund you can get one or more "Acupuncture Over Opioids" UV-resistant stickers to spread the word about our medicine. Look for the stickers at the registration table! AAC Files Legal Petition to Repeal Dry Needling Rule & Registration is Open for Kiiko Matsumoto! I am pleased to announce that the Acupuncture Association of Colorado (AAC) and the Colorado Safe Acupuncture Association (CSAA) filed a legal petition in December to repeal the Colorado Physical Therapy Board’s regulation allowing physical therapists to practice acupuncture with almost no training or clinical experience. We do not believe this regulation is legal since nothing in the PT scope of practice adopted by the Colorado Legislature allows the insertion of acupuncture needles or other invasive devices. Since 2012 Rule 211 has claimed that physical therapists can engage in “dry needling” with a mere 46 hours of training. After seeing the results, such as the Olympic skier who received a pneumothorax during a Colorado “dry needling” session, the AAC and the CSAA believe we must take action to protect public safety and acupuncture’s hard won reputation as a safe and effective practice. For this legal effort succeed we need your help today. If you’re not a member, please join the AAC today and stand with us in this important effort that will be closely watched across the United States. You may also wish to make an additional donation in support of this cause. Please, help us meet our goal of raising $25,000 in the next 30 days by making a donation today of $1000, $500, $250 or whatever you can afford. Consider donating a day’s income from your clinic or even just the cost of one treatment. We are only as strong as the support we receive from our members and friends. You let us know that this is an important issue to you and we are working hard to address it. This fundraising effort is being spearheaded entirely by your volunteer board of directors, eleven acupuncturists who, like you, care about the safety of patients and the future of acupuncture in our state. You may be receiving a call from a board member asking for your support. We also need help making calls to the 1400 acupuncturists in the state. If you would like to help in this effort, please contact me or Fundraising Chair (and President Emeritus) Scott Richardson at fundraisingchair@acucol.com or 720-974-0392. Thank you to so many of you who have already committed to support this effort, we have a real opportunity to set a national precedent that protects patients and the future of acupuncture in Colorado and beyond. 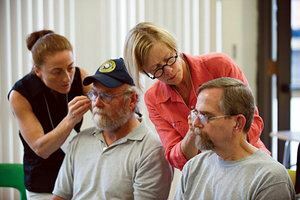 Along with the AAC, the mission of the CSAA is to work with newly licensed acupuncturists and acupuncture students to promote, encourage and advocate for the safe and effective practice of acupuncture in Colorado in a manner that protects public health and safety. If you would like to become a member of the Colorado Safe Acupuncture Association, please contact Kristin Grayce McGary at safe.needles@gmail.com or (928) 213-4311. I look forward to working with you on this, and to seeing you at our 34th annual conference in April for an awesome seminar with Kiiko Matsumoto! And as always, thank you for your membership and continued support. Registration is Now Open for Kiiko Matsumoto at the 34th annual AAC Conference in Westminster April 22-23, 2017! The AAC is pleased to announce that registration is now open for Kiiko Matsumoto at our 34th annual conference April 22nd and 23rd, 2017 at the Westminster Marriott. Her two-day seminar is entitled Dorsolateral Prefrontal Cortex and 9-Star Energy (14 NCCAOM PDA / California CEU pending). Kiiko Matsumoto was the most requested presenter in the AAC’s 2016 conference attendee evaluations, so we were very happy to make this happen. Additionally, this year our conference will have two 9-foot by 12-foot presentation screens showing live video of Kiiko for all of her instruction and demonstrations to ensure all attendees can easily see what is happening onstage. We have been able to arrange for this audio/visual upgrade and still offer an AAC-member registration fee that is more than $100 less than the usual fee for a Kiiko Matsumoto seminar. The dorsolateral prefrontal cortex (DLPFC) is an area of the brain that has recently been the subject of research in chronic pain conditions. Using fMRI imaging to study this part of the brain, Western Medicine researchers have shown that patients with chronic pain have less density in the DLPFC compared to healthy individuals. While the initial cause of the pain may be confined to the site of injury, i.e. low back or knee or wrist – this is where the person feels the pain – over time the communication between the area of injury and the brain becomes part of the chronic-pain-complex. Understanding this connection allows for new treatments and better understanding of chronic pain. In addition, this area also corresponds with mood disorders that often accompany chronic pain such as anxiety, fear and depression. Using her research into the acupuncture points located in this area of the head, Kiiko Matsumoto found a strong connection between modern understanding of the DLPFC and Classical Chinese medicine. Looking into the etymological development of the ancient Chinese characters used to name points in the region of the DLPFC, she has been able to devise powerful and effective treatment strategies for a wide variety of chronic pain conditions. 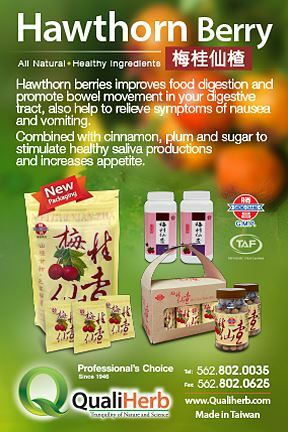 Through practical experience she also discovered a close relationship between the treatment of this area and changes in symptoms for patients with digestive disorders such as IBS, Crohn’s and more. During her workshop, she will share her discoveries and treatment strategies as well as demonstrate how to apply them. Read more about Kiiko, the conference and registration here. We are so excited for this conference, which will be a wonderful opportunity to connect with peers, get energized and learn amazing things. This conference is expected to sell out, so register early. I look forward to seeing you all there! Your volunteer board is working diligently on your behalf and continues to meet regularly at CSTCM in Denver, with board members that travel from as far as Fort Collins and Colorado Springs. We could use more help and welcome member participation, so if you would like to join us, please check our Facebook page for meeting event announcements or contact board Secretary Robin Schiesser at secretary@acucol.com or 720-432-5373. The new AAC website is up and running! We would like it to be a useful resource for you, and it is still a work in progress. If there is something you would like to see that is missing, please let us know. After we transferred the member data to the new site you may have received a notice to renew your membership before it was due. Thank you for your patience as we iron out the kinks in the system. If you have have not had a chance to log in to the new site yet, please do so at your earliest convenience to make sure your directory profile appears as you would like it to and that your information is correct. The public can search this directory by type of treatment, technique, specialty or keyword under Find an Acupuncturist. On the new site you can make changes to your profile immediately without waiting for them to go through the AAC office manager. 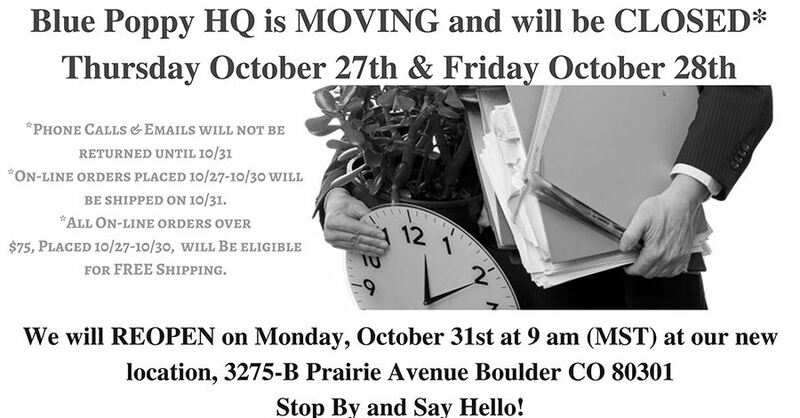 If you have any questions or difficulties please contact Charissa at info@acucol.com or 303-572-8744 for assistance. We would like to thank everyone who donated and made pledges to our legal fund at our annual conference last April. Our attorney is making great strides in his research of the best options to address dry needling in Colorado. We appreciate your support in helping us with the attorney fees, which are adding up in spite of his generously providing us with a substantial discount. If you still need to pay your pledge or would like to donate, every dollar helps. If you are paying a pledge, please note that in the comment box provided. On the national level, the American Society of Acupuncture (ASA) of which you are a member by virtue of your AAC membership, recently adopted a policy regarding dry needling. Read the policy here.This policy joins a growing list released by organizations such as the American Medical Association and the American Academy of Physical Medicine and Rehabilitation. These policies are helpful in educating our patients and the public about safe needling. Last month Past President Scott Richardson and I presented along with other AAC board members to Charlie Sheffield, executive director of the Colorado Association of Health Plans and five major health insurance carriers. Our presentation included our extensive training as acupuncturists and the clinical and cost effectiveness of acupuncture in the treatment of various conditions such as migraines, chronic pain, substance abuse and depression. We are planning further meetings with individual insurance companies to continue to promote acupuncture as a viable and reimbursable benefit for their customers. Scott is also continuing to develop our relationship with Colorado Insurance Commissioner Marguerite Salazar to pursue expansion of coverage for acupuncture services. The American Society of Acupuncture Board of Directors will be present at Pacific Symposium in San Diego October 25­ - 30, 2016 to build professional community relationships as it is one of the largest national events for our community. If you are attending the symposium, feel free to introduce yourself to ASA board members as an AAC member (and therefore an ASA member) and let them know your priorities for our profession. The ASA website is in beta. We will announce the site when it is live so you can stay in touch with the activities of this vital national organization and the benefits it provides us as members. See the announcement below about reading the Meridians Journal on the new AAC website. The 2017 Annual Meeting for the ASA is scheduled for ­March 17 & 18, 2017 in Philadelphia, PA. The AAC will send two delegates to represent Colorado in the business conducted at the meeting. No matter who you support in this critical election year it is important to exercise your right to vote. Make sure that you are registered! Please see the article below and consider volunteering for candidates who support acupuncture in these last few crucial weeks before the election. Our combined efforts are necessary to successfully represent and further our profession. Thank you for your time and energy. The fall 2016 general election is less than a month away, but it is not too late to connect and volunteer for state senate and state house representative candidates. There are many tight legislative races in Colorado this general election and the AAC is doing all we can for state legislative candidates who advocate for acupuncturists. We are asking you, AAC members, to contact campaigns in your districts and give your time by phone banking, giving a personal money contribution or canvassing neighborhoods. This would be great exposure for us professionally and can really make a difference for these legislative campaigns that operate on shoestring budgets. Representative Pete Lee in House District 18 shared with me that the best contribution a volunteer can make is walking the district and knocking on doors. An election is not the best time to bend our candidates’ ears about the issues we are facing. Our best approach is to introduce ourselves as acupuncturists who are supporting them, expressing an interest in learning more about their platform. They will remember us and our efforts when they are in office, and be more open to hearing from us when they are in a position to help. Though we have had bipartisan support for certain legislative bills, the AAC generally supports the Democratic candidates as historically they have overwhelmingly been the proponents of issues surrounding the acupuncture profession. Below are the candidates in key races that you can contact. To determine what is your senate and house district go to www.ballotpedia.org. State House District 30 the Republican incumbent is running for re-election in a swing district. Incumbent state Rep. JoAnn Windholz (R) is running for re-election. She faces Dafna Michaelson Jenet (D) in November. In 2014, Windholz narrowly defeated Jenise May (D), the former incumbent, by a margin of 50.3 percent to 49.7 percent. According to the Colorado Independent, the district is one of two races that could determine which party controls the state House (District 31 is the other notable race). If you have questions, please feel free to contact me. No matter who you support, please get out and vote—your voice matters!! Thank you for your time and efforts. We’d like to remind you that Kiiko Matsumoto will be joining us for our 34th annual conference, which will be held April 22-23, 2017, once again at the beautiful Marriott Westminster. Watch for our announcement when registration opens in early 2017. 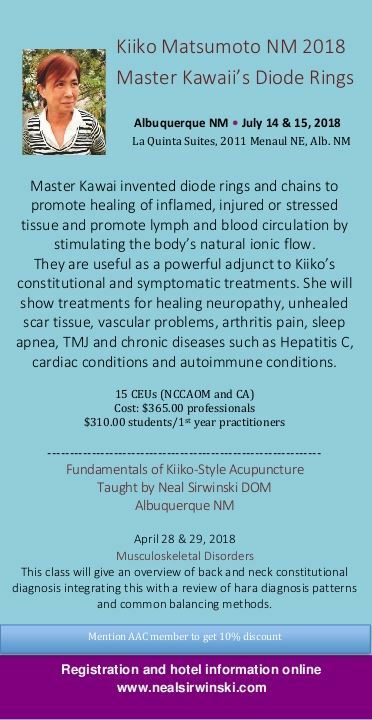 Kiiko Matsumoto is the founder of Kiiko Style Acupuncture and is considered to be a "living Master of Acupuncture". She is well known for her ability to integrate the work of some of the most famous Japanese masters into her practice for the last three decades. Her style of acupuncture focuses on treating the root cause with emphasis on the entire body rather than a single symptom. As a result, patients find Kiiko's treatments to be effective and long lasting. Her dedication to researching and understanding the Chinese medical classics makes her one of the foremost authorities on the subject of acupuncture. Kiiko's passion for sharing her research makes her a popular and sought after teacher. Her students find her seminars to be practical, fun and dynamic. Conference attendees were so pleased with this year’s presenter, Lonny Jarrett, that we are bringing him back April 28-29, 2018. Mark your calendars! Your volunteer board is working hard on your behalf throughout these warm days, and continues to meet regularly. If you would like to join us, please check our Facebook page for meeting event announcements. Our new website is under construction and the website committee is dedicated to providing you with a helpful site as well as one that will be informative for the public, including a user-friendly searchable list of member acupuncturists. Please look out for an email this weekend asking you to reset your password for the website. The email will be coming from AAOC@wildapricot.org, but the reply-to email will be info@acucol.com. Your username will be your email address. The front end of the site will not look different until the back end is complete, so don’t be alarmed that it looks the same. 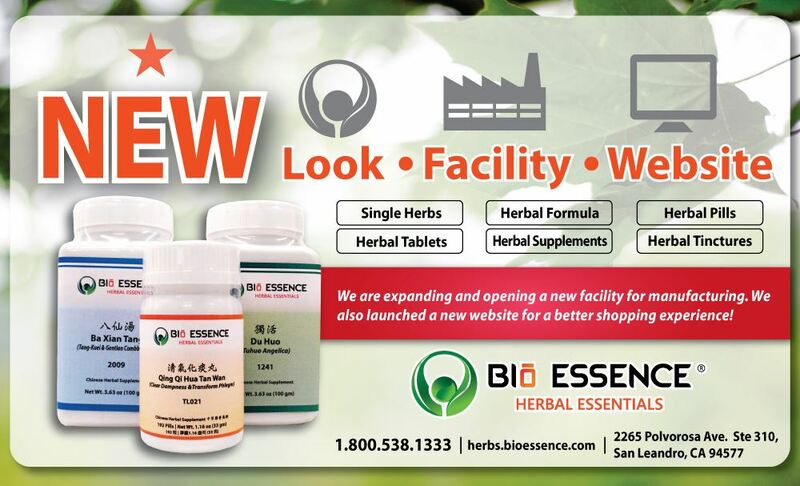 We will send you another email when the new site is live. In the meantime please sign in and update your information when you receive the email this weekend. I would like to thank everyone who donated and made pledges to our legal fund at our annual conference. Our attorney is continuing to research the best options to address dry needling in Colorado. We appreciate your support in helping us with the attorney fees, which are adding up in spite of his generously providing us with a substantial discount. If you would like to donate, every dollar helps. On the national level, The American Medical Association adopted a policy regarding dry needling at their recent annual meeting. “Lax regulation and nonexistent standards surround this invasive practice. For patients’ safety, practitioners should meet standards required for licensed acupuncturists and physicians,” AMA Board Member Russell W. H. Kridel, M.D. said in a press release. The official policy reads: RESOLVED, That our American Medical Association recognize dry needling as an invasive procedure and maintain that dry needling should only be performed by practitioners with standard training and familiarity with routine use of needles in their practice, such as licensed medical physicians and licensed acupuncturists. Additionally, the American Society of Acupuncture (of which you are a member by virtue of your AAC membership) is working on a statement regarding dry needling that is expected to be released soon. Please watch our Facebook page. Scott, along with Vice President Mark VanOtterloo, Legislative Chair George Graf and Public Relations Chair Kristin Grayce McGary also met with Charlie Sheffield, executive director of the Colorado Association of Health Plans, to build relationships and work toward greater reimbursement of acupuncture in Colorado. Mr. Sheffield will facilitate further meetings with insurance carriers so we can educate them about how licensed acupuncturists can help with various health concerns. In both of the aforementioned meetings we also addressed the very current topic of opioid overuse and abuse, and how acupuncture can help with this crisis by treating chronic pain and addiction, which is both concerning to physicians and costly to insurers. Lastly, 2016 is an election year, so please see the article below about volunteering for candidates who support acupuncture. Our combined efforts are necessary to successfully represent and further our profession. Thank you for contributing your time and your precious Qi! The fall 2016 general election is imminent, now is the time to connect and volunteer for state senators and state house representatives. There are many tight legislative races in Colorado this general election and the AAC is doing all we can for state legislative candidates who advocate for acupuncturists. We are asking you, AAC members, to contact campaigns in your districts and give your time by phone banking, giving a personal money contribution or canvassing neighborhoods. (Please see the table later in this article.) This would be great exposure for us professionally and can really make a difference for these legislative campaigns that operate on shoestring budgets. Representative Pete Lee in House District 18 shared with me that the best contribution a volunteer can make is walking the district and knocking on doors. Below are the candidates in key races that you can contact. To determine what is your senate and house district go towww.ballotpedia.org. State House District 31 The Democratic incumbent is running for re-election in a swing district. Incumbent state Rep. Joe Salazar (D) is running for re-election. He faces Jessica Sandgren (R) in November In 2014, Salazar narrowly defeated his Republican opponent by a margin of 50.5 percent to 49.5 percent. If you have questions, please feel free to contact me. Thank you for your time and efforts. 34th annual conference, which will be held April 22-23, 2017, once again at the beautiful Marriott Westminster. her practice for the last three decades. Her style of acupuncture focuses on treating the root cause with emphasis on the entire body rather than a single symptom. As a result, patients find Kiiko’s treatments to be effective and long lasting. Her dedication to researching and understanding the Chinese medical classics makes her one of the foremost authorities on the subject of acupuncture. Kiiko’s passion for sharing her research makes her a popular and sought after teacher. Her students find her seminars to be practical, fun and dynamic. Your Free Summer Issue of the Meridians Journal is Ready for Download! The summer issue, v. 3 no. 3, of Meridians: The Journal of Acupuncture and Oriental Medicine is now online! This and all issues of the peer-reviewed, Medline compliant journal are available free to you as a valuable benefit of being an AAC member. To access your download just click on “Register” to create a new account at their website and self-certify that you are a member of a State Association. You will be able to place an “order” for the zero-cost PDF downloads. You do not have to do this for each issue, just the first time. After initially registering, all you have to do is log in when a new issue is uploaded. If you have any questions about access to the online issues, please feel free to contact the webmaster, Brian Smither, atwebmaster@meridiansjaom.com. He will be happy to assist you so you can read this issue and all issues of Meridians JAOM. Topic for our Fall 2016 Issue: How Do You Treat Cuts, Abrasions and Local Infections in Your Clinic? Practitioner, please submit your short (approx. 500 words) Clinical Pearl on this topic by or before August 1, 2016. This is my third year volunteering on the AAC Board and it has been an honor. The knowledge and dedication of my fellow Board members are consistently impressive. We do need help from our community of fellow acupuncturists to avoid the burn-out that can happen when so few people are doing so much work. We do also have fun together, so please consider volunteering for a committee! You can do so at the conference or by contacting us by phone or email at any time. The upcoming 33rd Annual Acupuncture Association of Colorado Conference being held April 23rd -24th in Westminster has set another attendance record of 150 (at press time) for our state conferences! 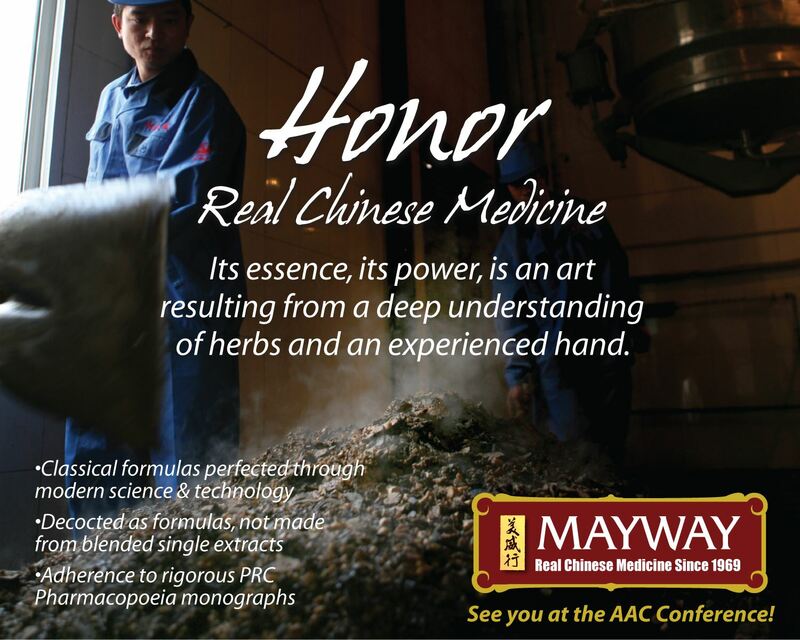 We are looking forward to learning from author and Chinese Medicine scholar Lonny Jarrett. Registration closes April 15th and there will be no registration at the door, so register now if you haven’t already. The annual conference is held in April for a couple of reasons. In election years, an early conference allows us time to come together as a group to hear about issues and candidates that effect Acupuncture and Oriental Medicine in time to take action. We also hope by following spring break time, the April conference finds many people in town and able to attend. The annual business meeting of the Association being held during the lunch break on Saturday is a requirement of our by-laws and the one opportunity each year that we have to all come together to learn what is happening legislatively for our profession, discuss important issues and set goals. Our conference is also a fundraiser that, along with membership dues, keeps us going. I look forward to spending time together with fellow acupuncturists and learning new things from Lonny’s sessions. See you there! Thank you to those of you who will be attending our conference this year with Lonny Jarrett. Along with membership dues, the conference helps support the AAC’s activities and expenses, and we appreciate your support. Dry Needling: The AAC has spent the last year researching our options regarding Dry Needling. There will be a full report at our annual members’ meeting at 12:30 on the 23rd during the conference. We hope you will come even If you cannot register for the entire conference. Please see the Conference Update in this newsletter for more details and annual meeting RSVP information. If you would like to contribute to the cause please contact me directly and/or donate here. American Society of Acupuncturists: Board member Scott Richardson (President Emeritus) and I represented the AAC membership at the annual ASA meeting last month in Albuquerque, New Mexico. The meeting was very productive and we were able to collaborate with other national entities including the NCCAOM, CCAOM, and ACAOM. You may have heard about the launching of NCCAOM’s Academy of Diplomates. It was created to serve the Diplomates and will not charge membership dues. Its intention is to work cooperatively and synergistically with all AOM professional associations in support of the AOM profession. The ASA worked very closely with the NCCAOM as they created the Academy and has a strategic relationship with them. The ASA continues to have a representative on the CPT code committee and is tracking items that impact acupuncturists. 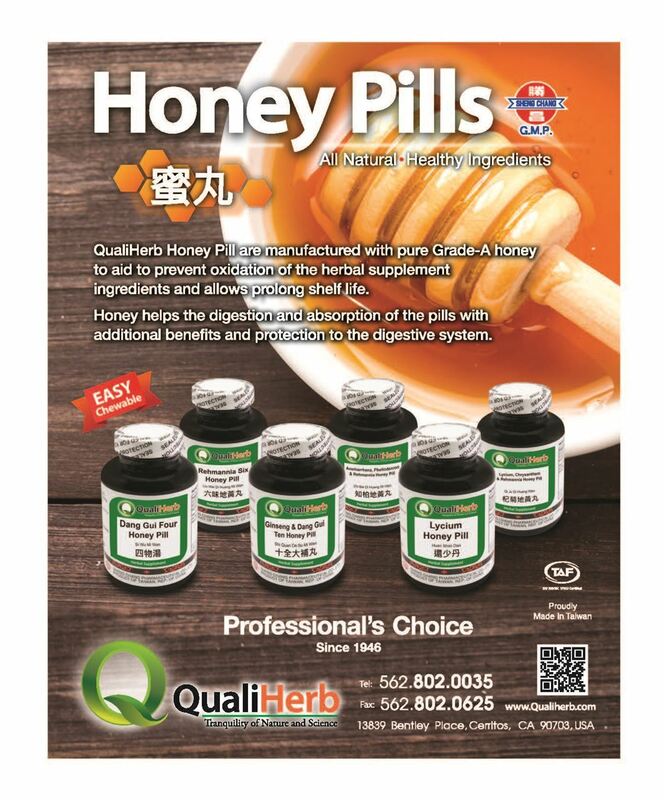 They also have representatives attending the ISO (International Standardizations Organization) meetings which have special groups working on products used in Chinese Medicine. An in-depth report was also presented detailing how Dry Needling is impacting acupuncture patients nationally. Some of this information will be relayed in our annual meeting. The ASA is proving to be a valuable asset to our organization and it is representing us well at a national and even global level. We hope you see the value in it, too. In light of this we may raise membership dues this year to account for our ASA membership, which is based in part on how many members we have. Because our relationship with the ASA is a non-competing model, meaning our members are automatically members of the ASA and benefit from their work without having to pay separate dues, the increase will be a very small amount compared to joining a separate organization. If you would like to read the full report on the ASA activities you may access it on our Facebook page. Website update: The board has voted to move our antiquated website and membership data from its current platform to an updated platform. We were able to find a cost-effective solution to upgrade the look and user experience while increasing functionality. Please keep an eye out for emails regarding this process as everyone will need to sign on to the new platform to make sure your information was ported over accurately. This will take place after the conference, most likely sometime in May or June. Some announcements are made more rapidly on Facebook, so please “Like” the Acupuncture Association of Colorado’s Facebook page and turn on notifications by hovering over the Like button until a drop down menu appears and choose Notifications “All On”. Thanks again for your membership and support. We would not be able to do this without you. The Acupuncture Association of Colorado is looking for their next Treasurer! You can be a part of the executive team of the AAC and help the board to protect and advance the acupuncture profession in Colorado. Bookkeeping skills are a plus, but the association does have bookkeepers as well as an accountant who prepares our taxes. As the current treasurer, I will give you thorough training and will be your teammate until you feel comfortable in your new role. Join a dynamic group of people working for positive change! If you have any questions or would like to discuss the possibilities of this volunteer position, please email me at Treasurer@acucol.com. The association continues to do well with its currently limited funding. A large portion of our budget goes to paying our lobbyist, Leo Boyle, who has been working on our behalf for over a decade. He is a seasoned professional, is well-known and well-liked at the capitol, and we couldn’t have passed our injectables bill without him. We were able to negotiate a lower base rate with him for 2016, which will only increase if he needs to take legislative measures for us. Happily, our monthly payment plan to the attorneys who researched and drafted our injection therapy bill will be completed this year. Another cost-saving measure we took this year was to convert to a virtual office when the rent on our Wheat Ridge office was about to be raised more than 100 percent. Our research into the Dry Needling issue has been expensive. We will be discussing the results of our research at length during our annual members-only meeting being held Saturday, April 23 at 12:30 PM during the AAC Annual Conference lunch break. If you would like to know what is happening around this issue and voice your opinion, please join us. A full financial report is also shared at this meeting. See more details and RSVP information in the Conference Update in this newsletter. The annual conference not only provides CEUs and sense of community for Colorado acupuncturists, but is also a fundraising opportunity for your professional association. Thank you, and I look forward to seeing you at the conference and/or the annual meeting! Following the passage of our bill last spring we have had many subsequent meetings with DORA regarding making the necessary rules. DORA prepared a list of allowed injectable substances, rules for training and proposed changes to the pharmacy practice act that will enable us to purchase compounded substances again from in-state companies such as College Pharmacy. For more details on the rules, training requirements and pharmacy act changes please see the January Newsletter in the Blog section of acucol.com. At this time we are still waiting for the Director of DORA to sign the new rules and changes into effect. Our President Emeritus Scott Richardson has been following up with DORA acupuncture program director Leanne Duffy on a regular basis and was told on April 7th that there is no new information yet, but that she has been emailing the Director "regularly" on the topic. The Director is expected to sign the rules into effect by April 23rd (a deadline set by the date of our October 23rd meeting), so we should be able to procure injectables by the end of the month! We will continue to keep you apprised of our progress on this subject. Please “Like” the Acupuncture Association of Colorado’s Facebook page and turn on notifications by hovering over the Like button until a drop down menu appears and choose Notifications “All On”. Order Your Year of the Monkey T-Shirt by April 24th! Even if you don't want a T-shirt you may still make a donation here.